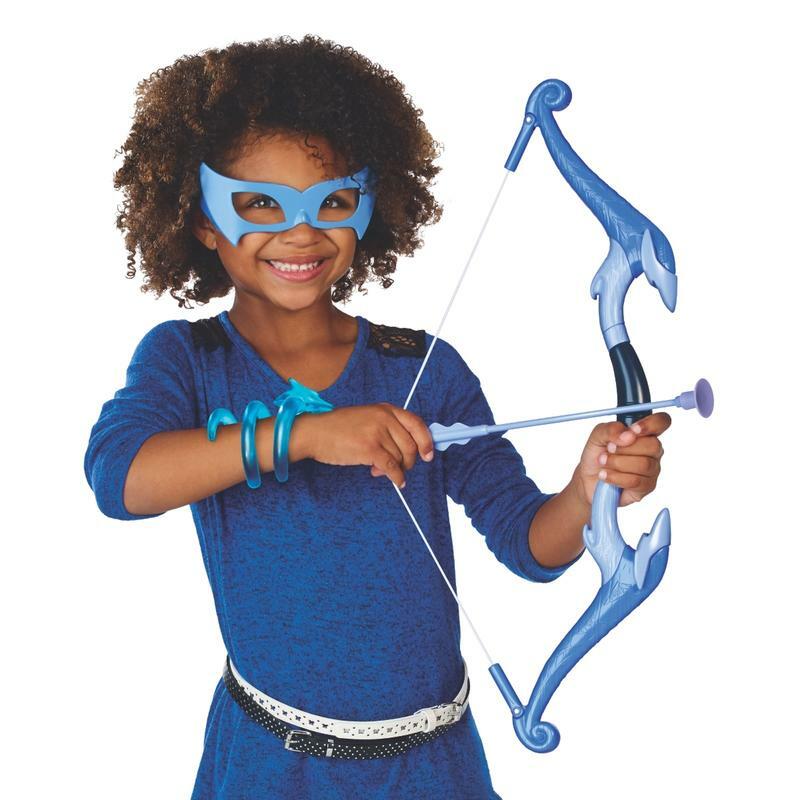 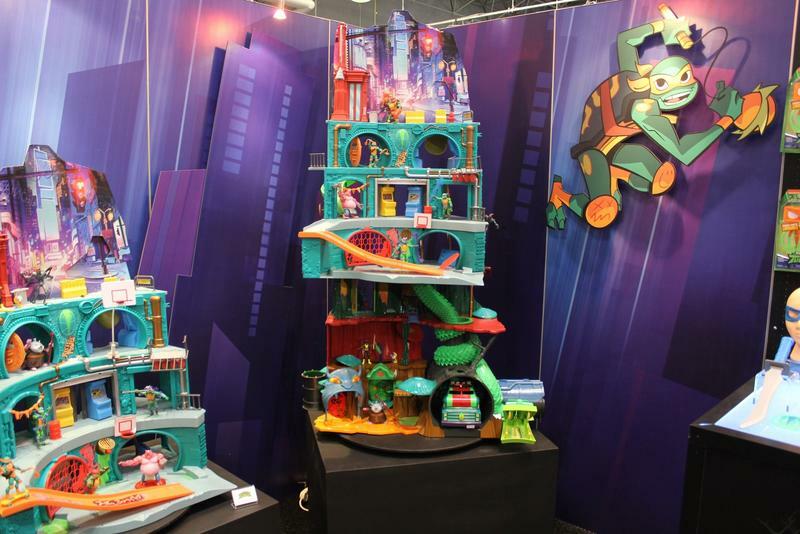 Playmate Toys is back with another year of its most popular toy lines, and some exciting new play styles. 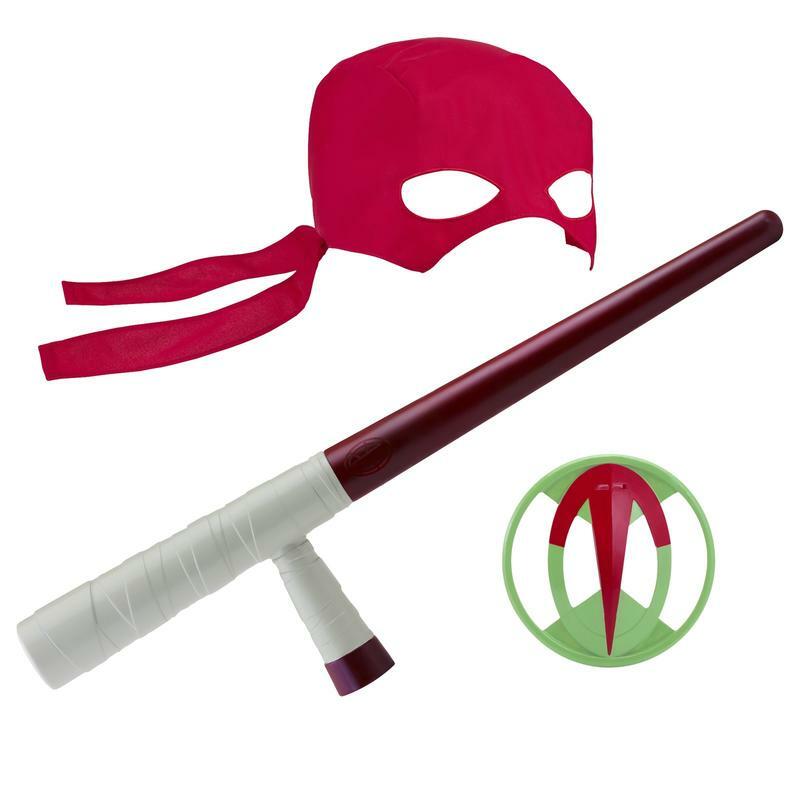 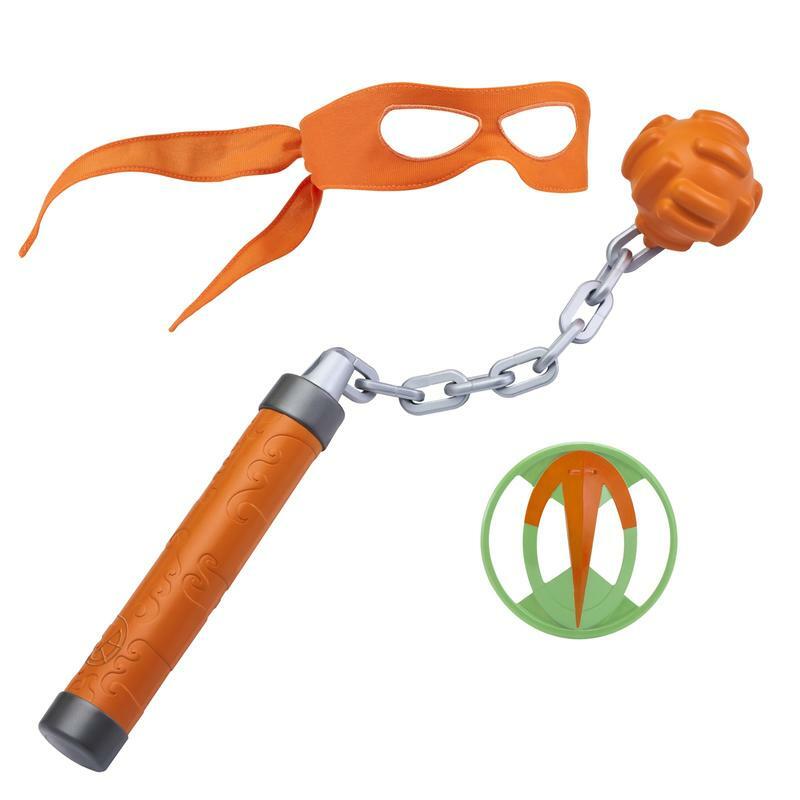 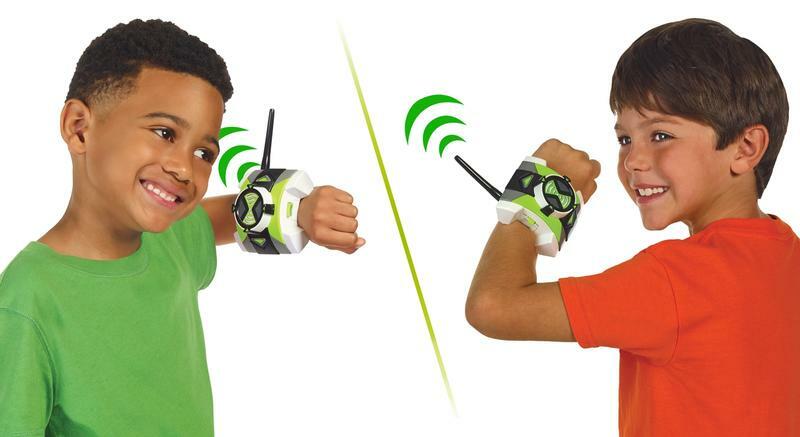 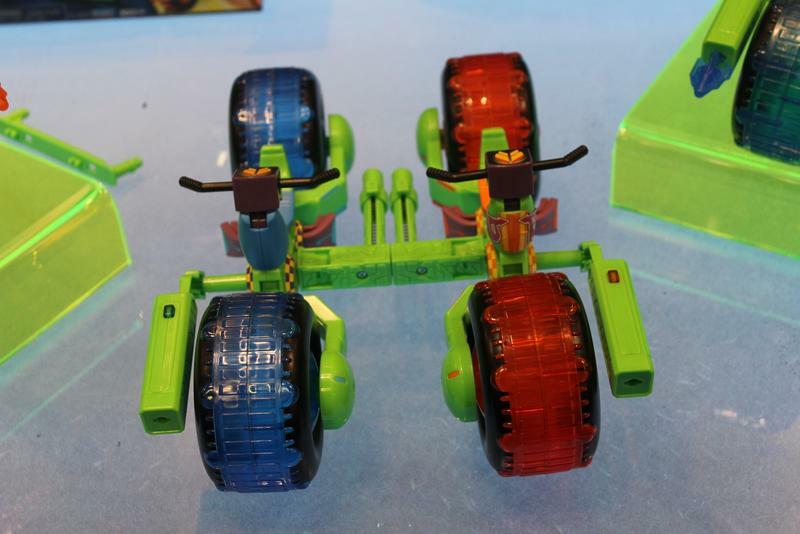 This year’s theme continued to be a bit retro for the company, but it also seemed to have ramped up the focus on ways kids can play with their toys. 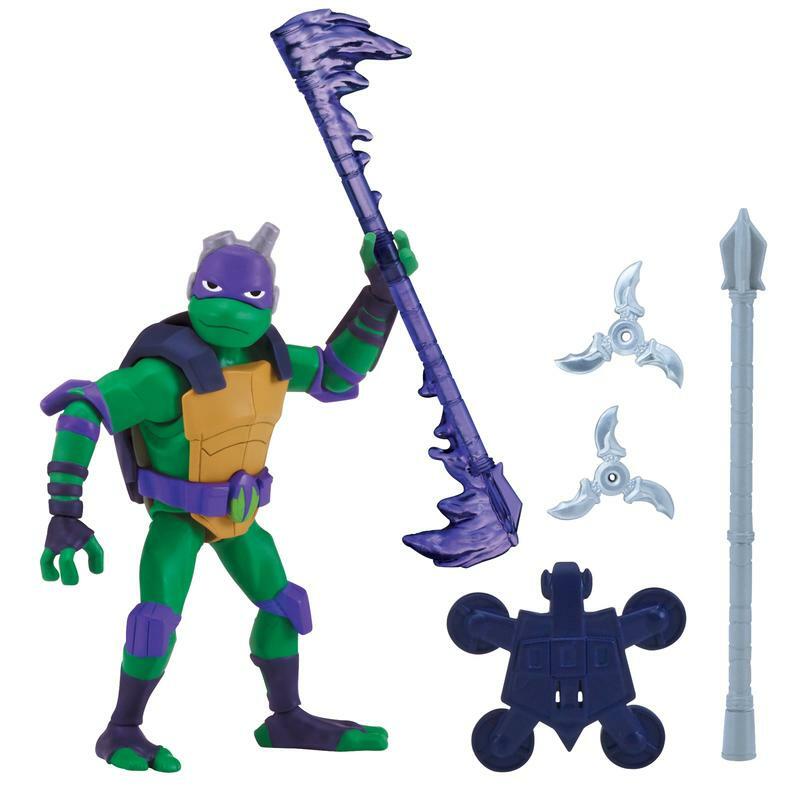 Lots of items had playability on their own, but when you purchase certain other items then they combine together in a new way. 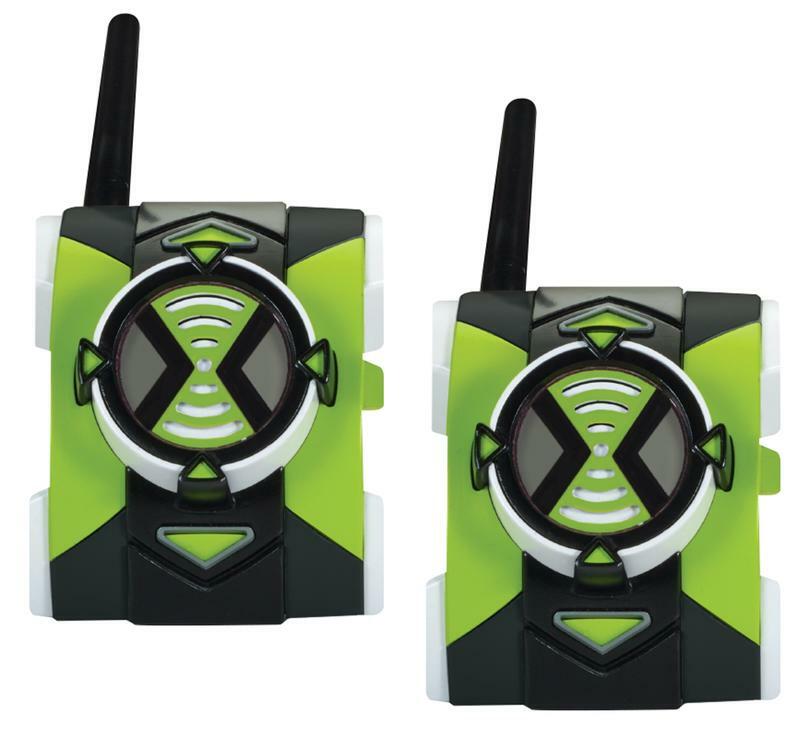 While this isn’t a new trend in the industry, there was some pretty effective use of it here. 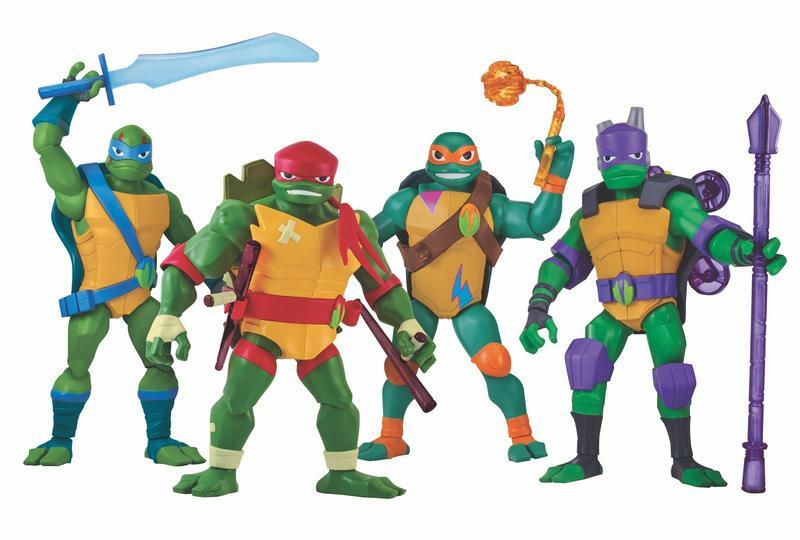 The Teenage Mutant Ninja Turtles are receiving a new animated series entitled Rise of the Teenage Mutant Ninja Turtles that brings with a whole new art style and redesigns of every character we know and love. 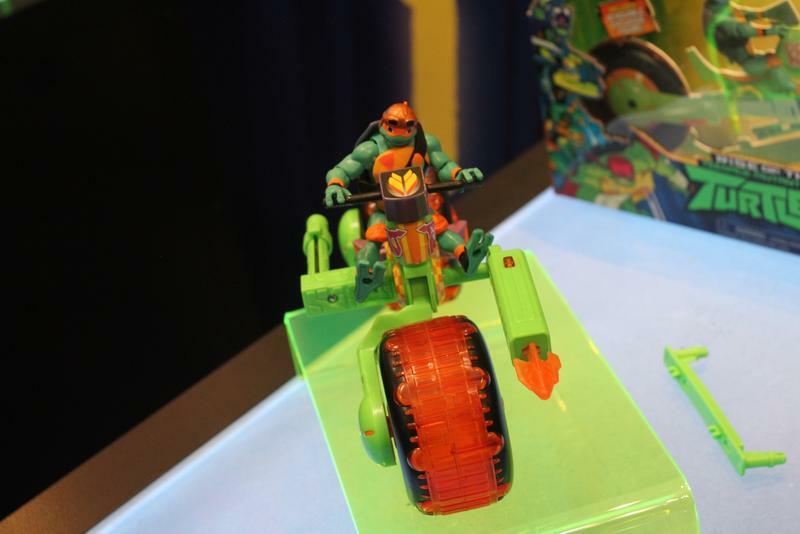 The overall line felt pretty fresh and the Street Hog motorcycles seem to play a large role. 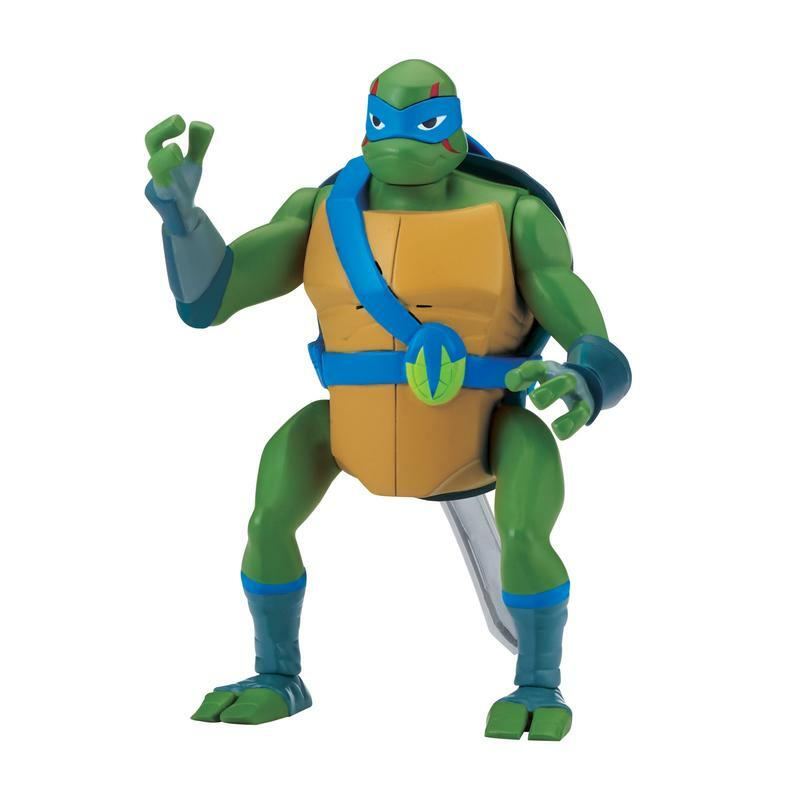 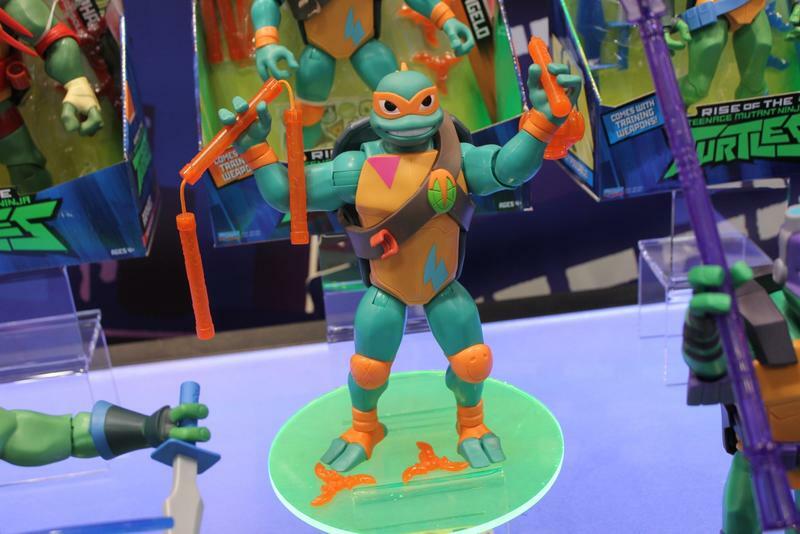 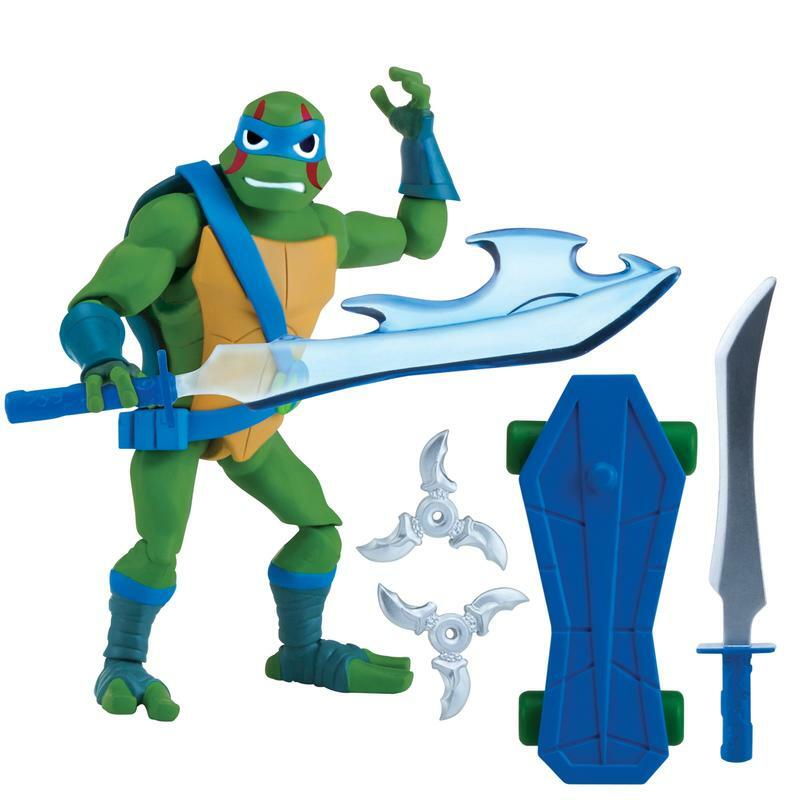 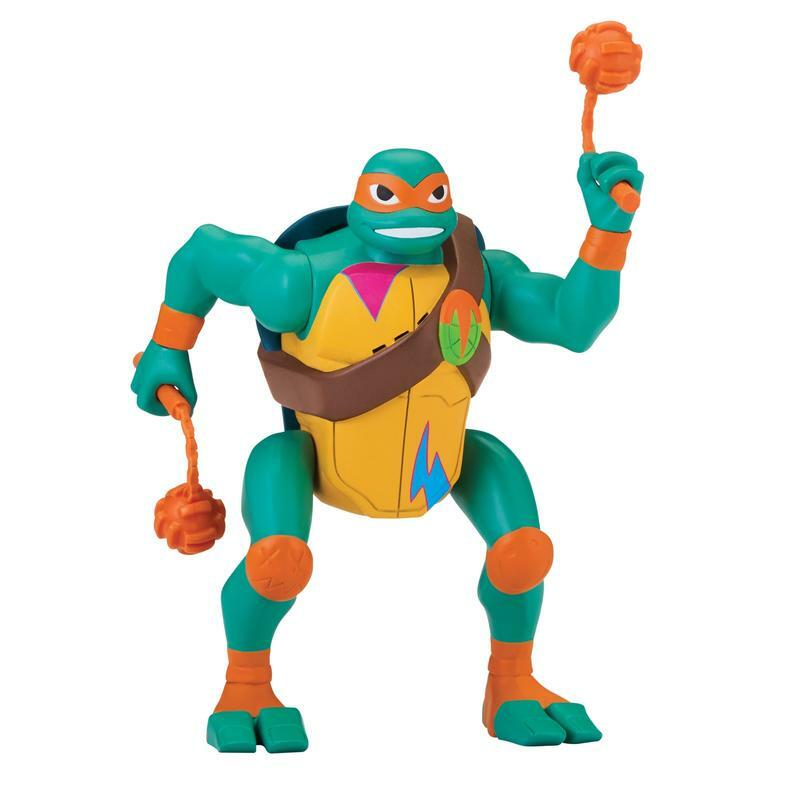 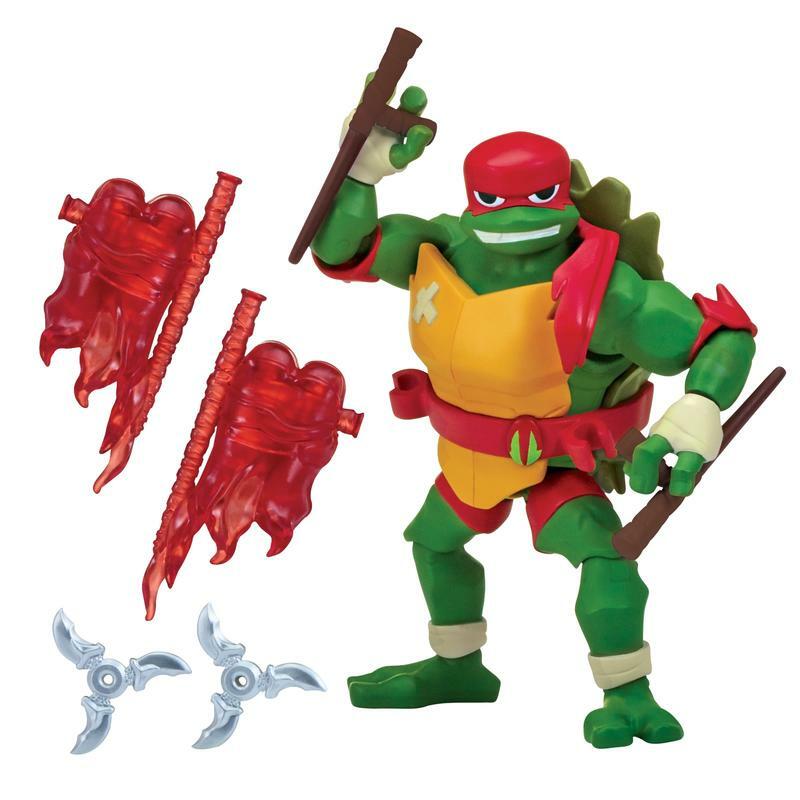 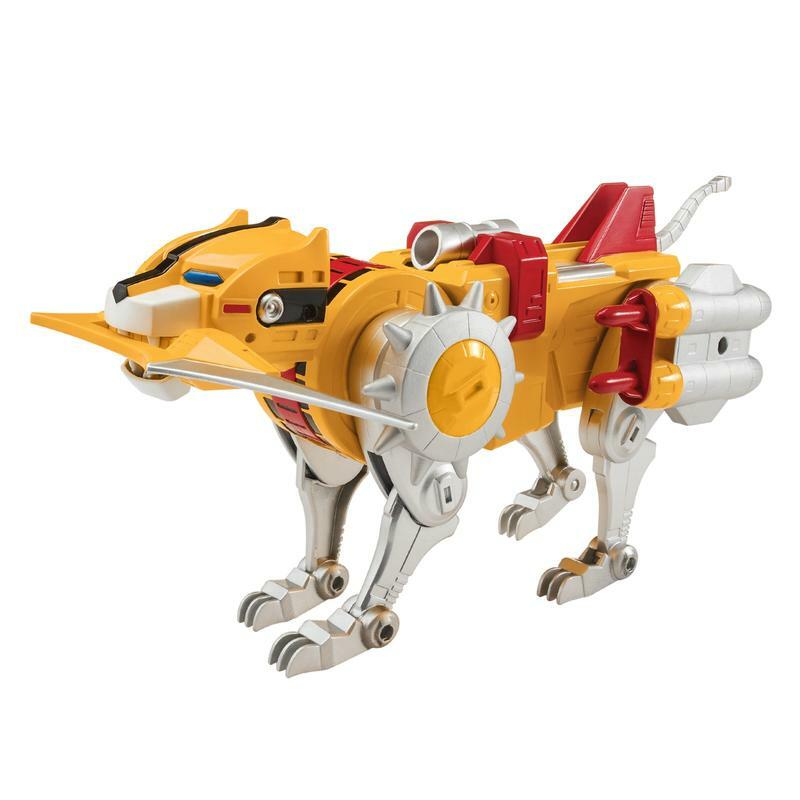 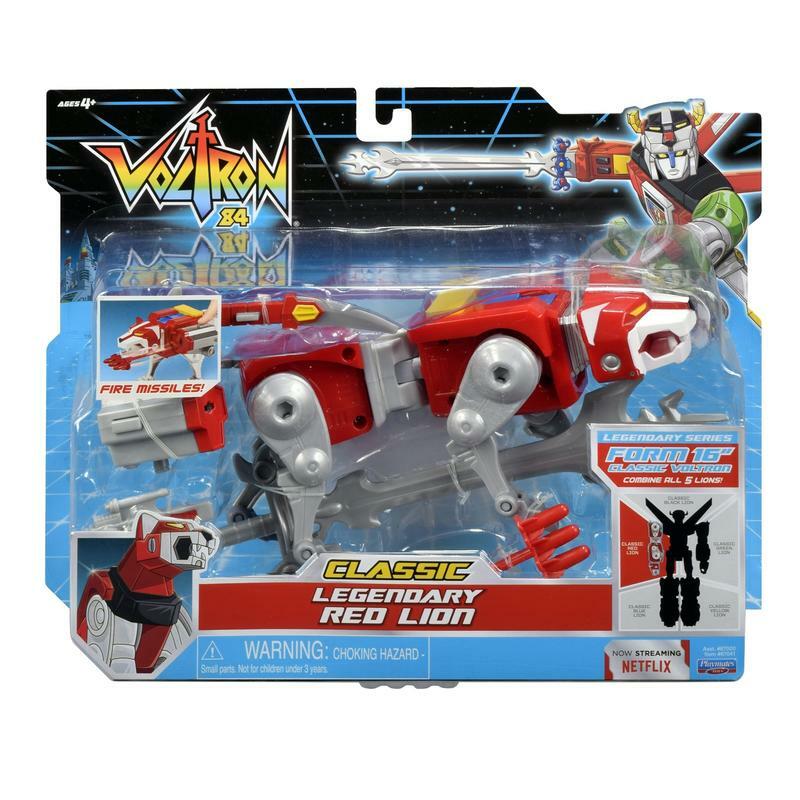 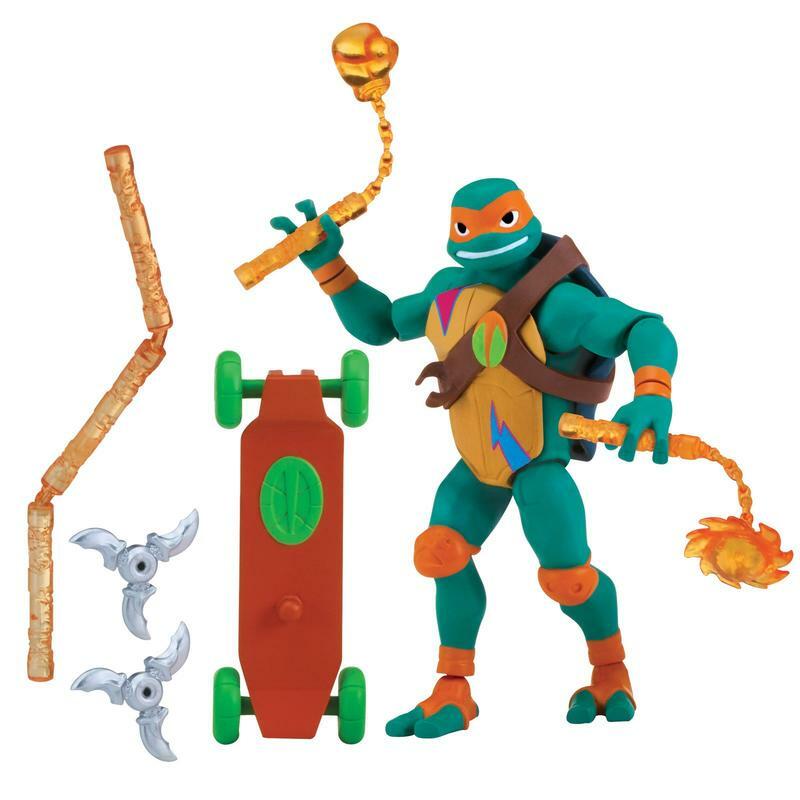 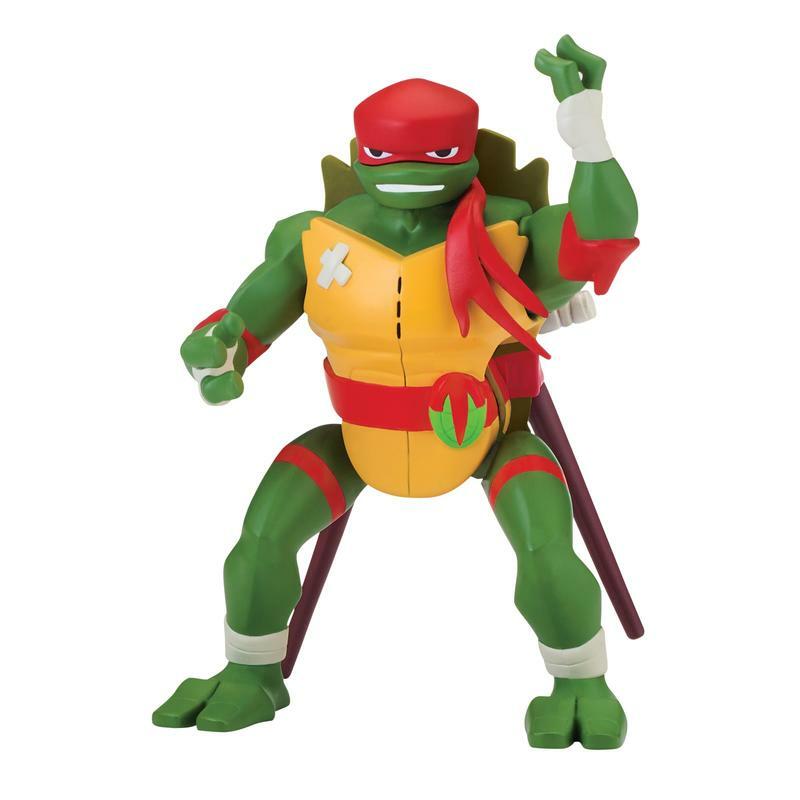 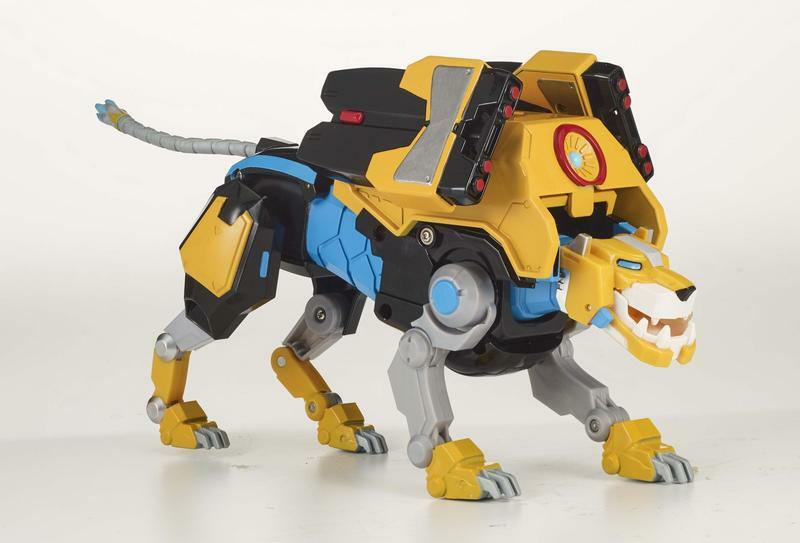 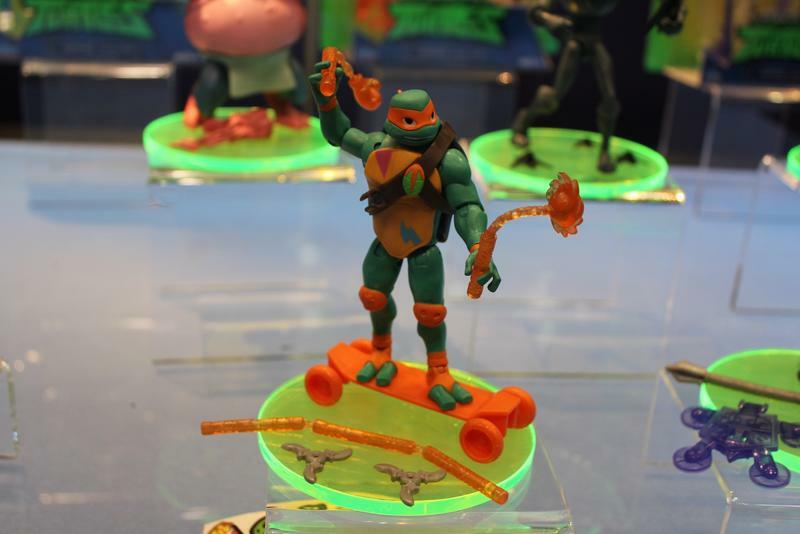 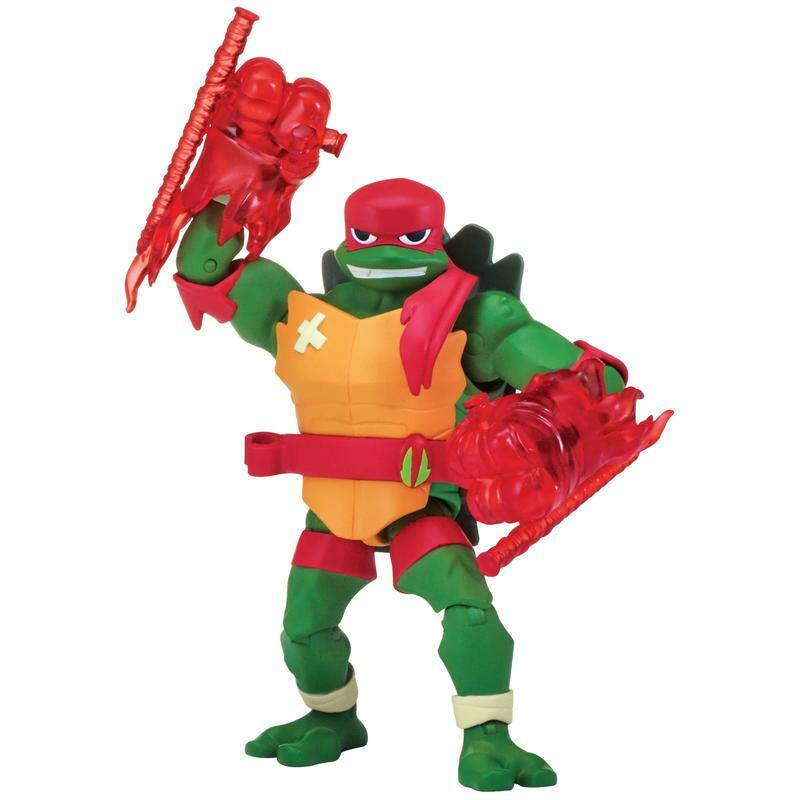 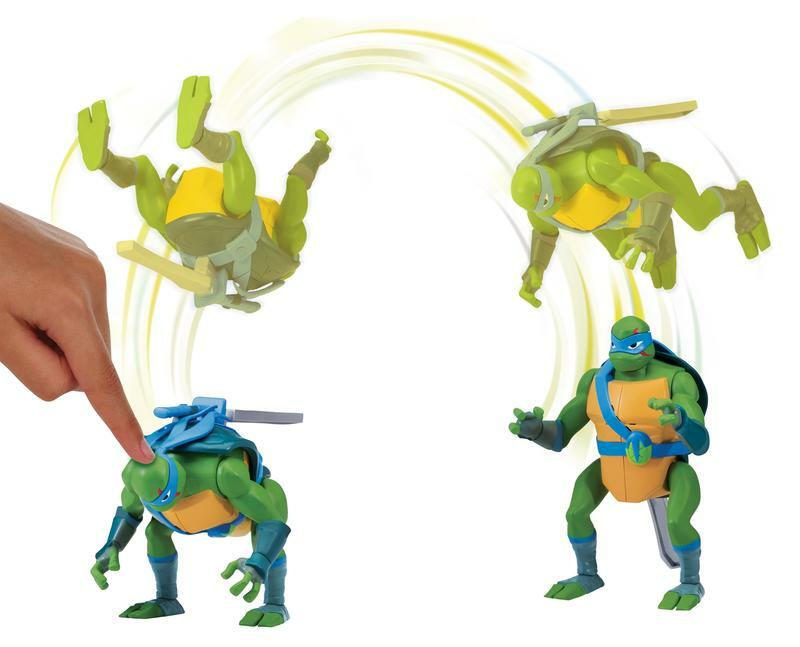 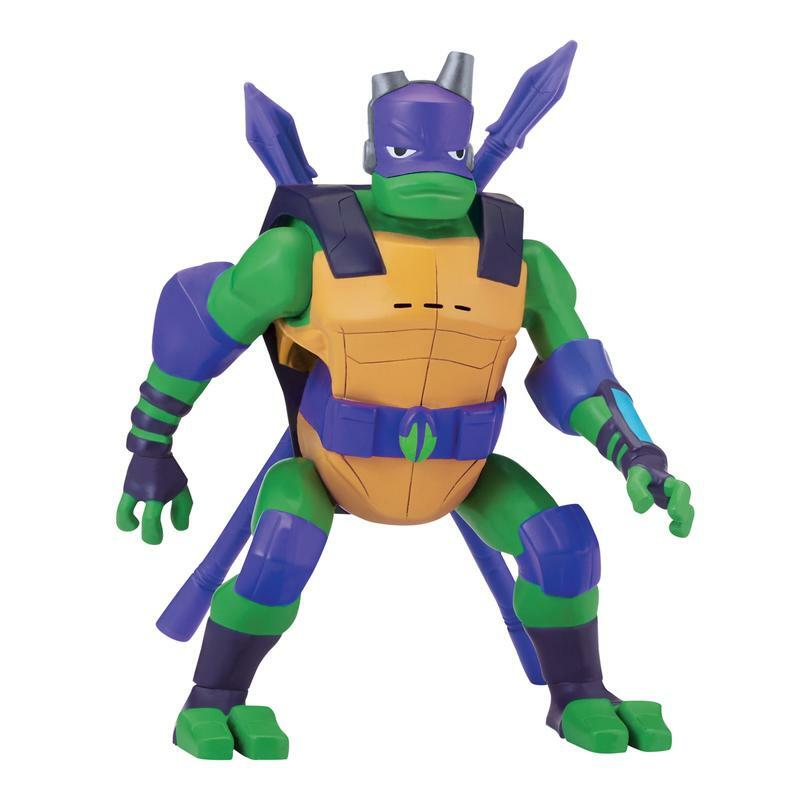 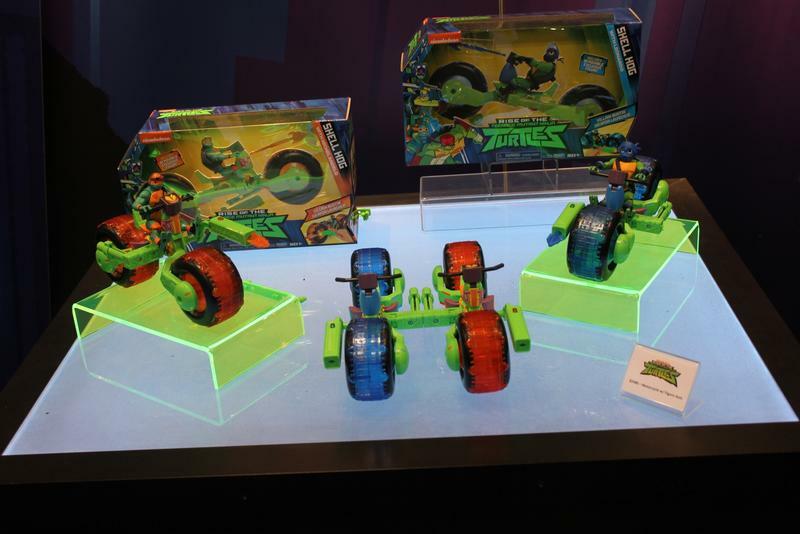 While Leo and Mike will be sold separately, if you have both they can connect to form one large bike. 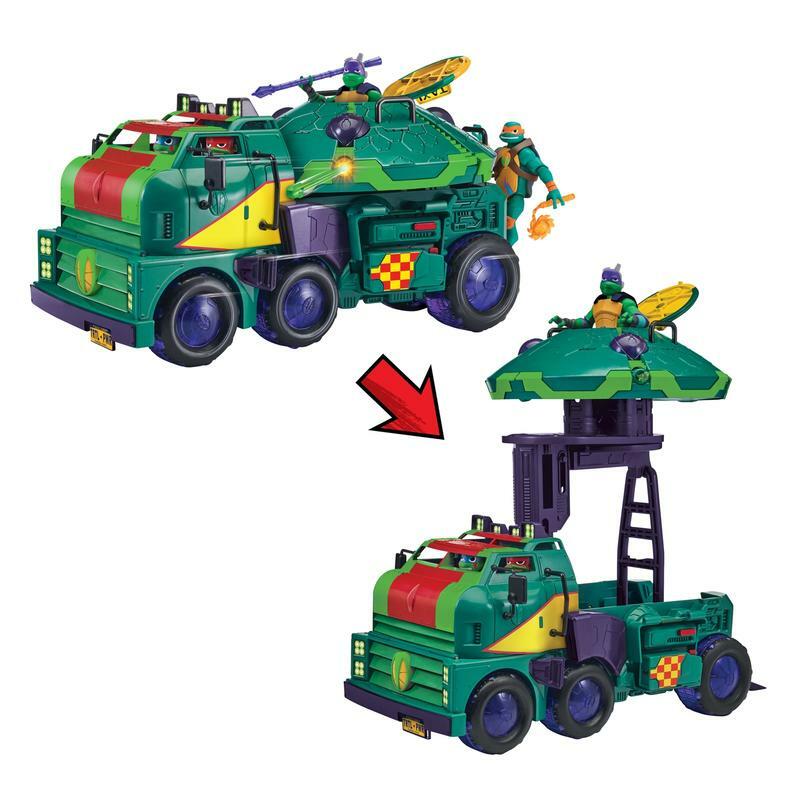 If you pick up the Turtle Tank, the Shell Hogs can then connect to it as well. 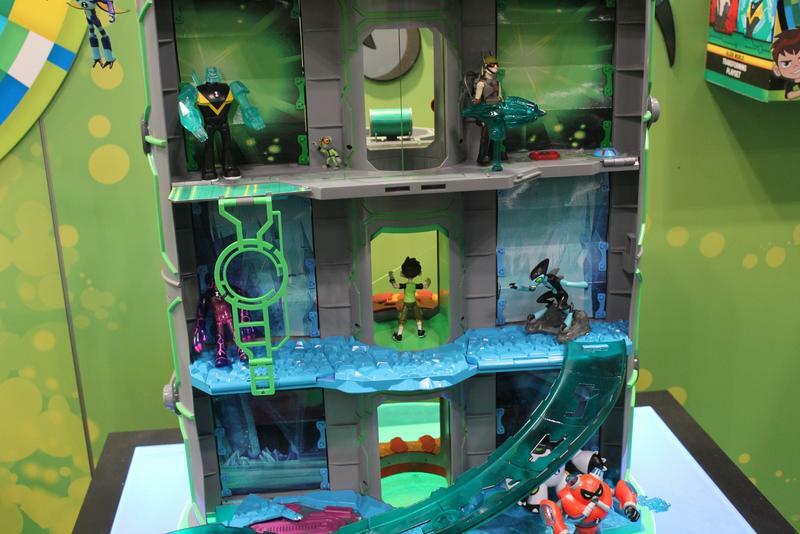 At the end of the showroom was the massive 43-inch Epic Layer. 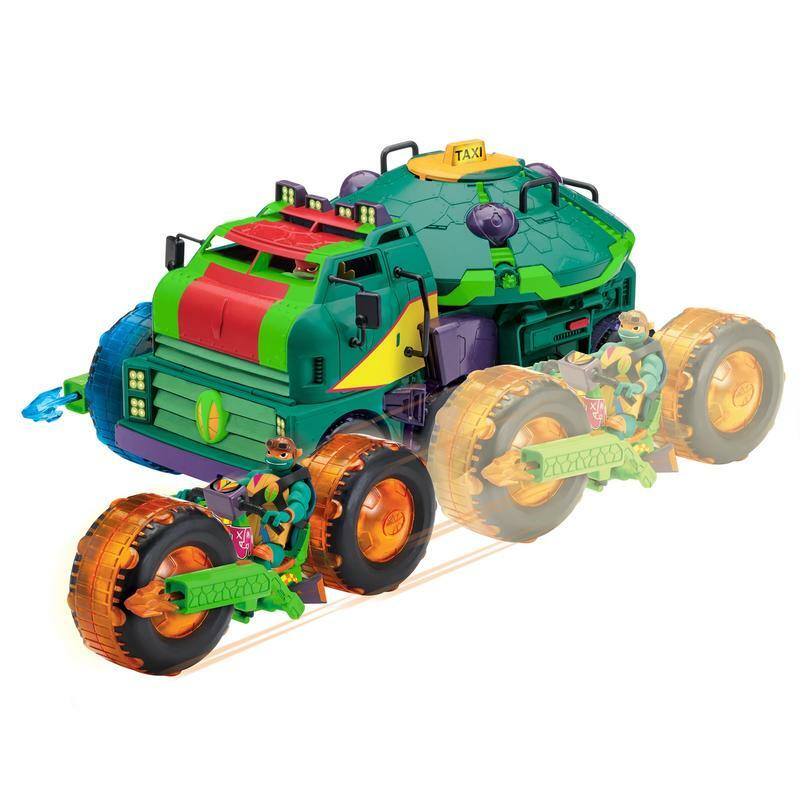 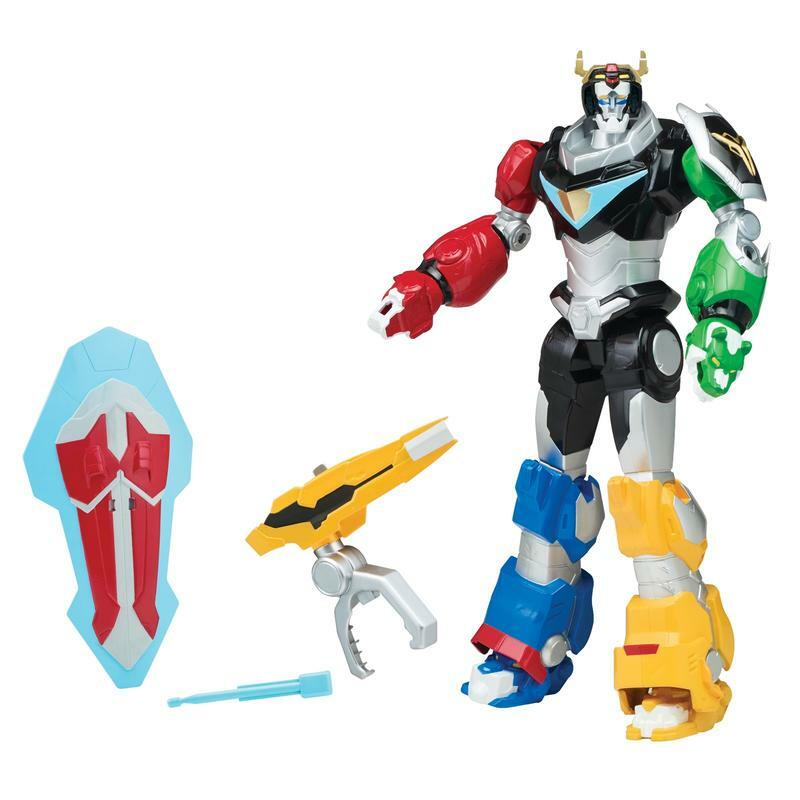 This monstrosity of a set will retail for a very reasonable $119.99 for its size. 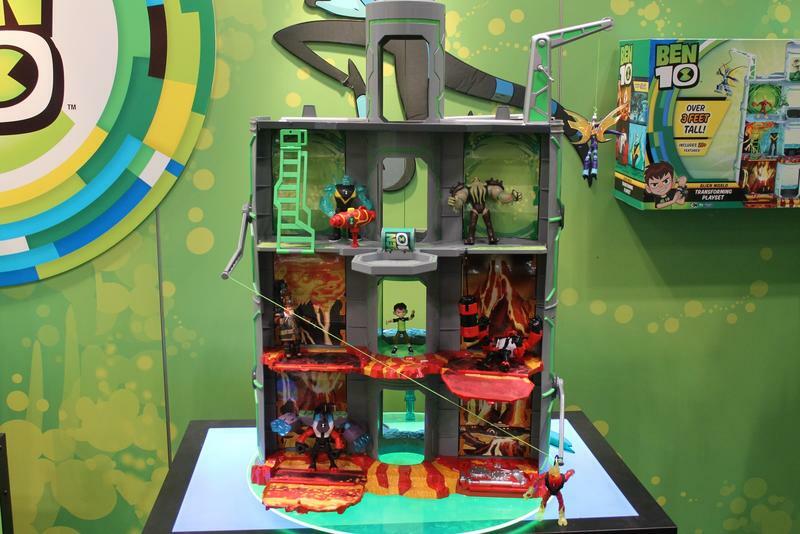 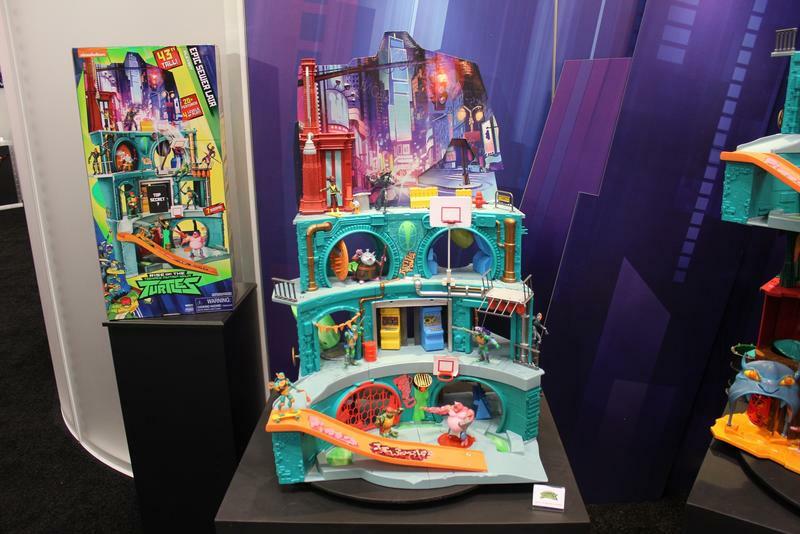 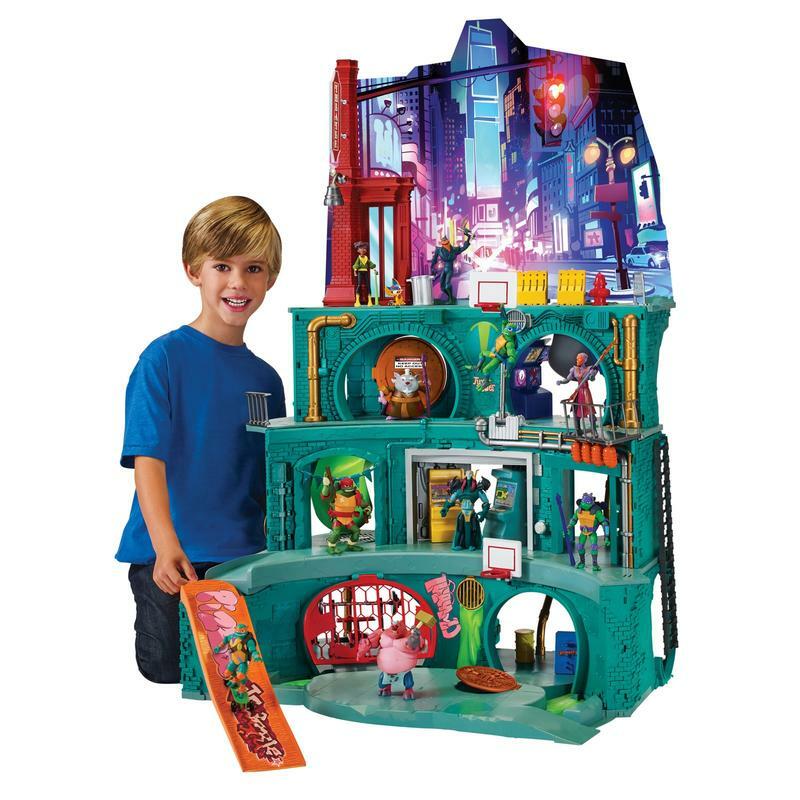 Next year, however, another playset called the Hidden City will be released, and the Epic Layer can fit on top of it. 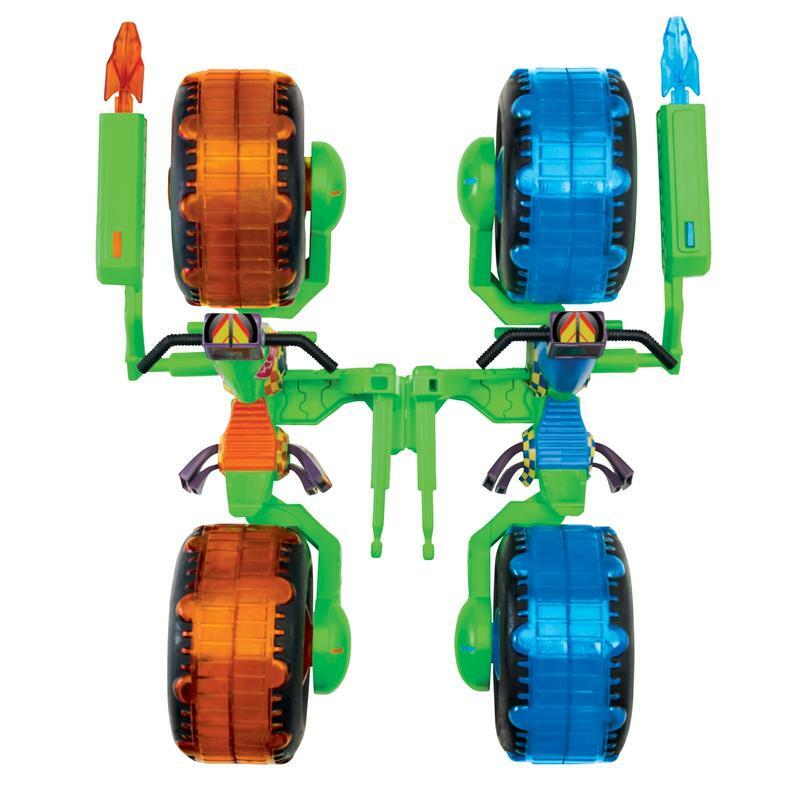 If you aren’t looking for a set over 5-feet, you can also choose to place them side-by-side. 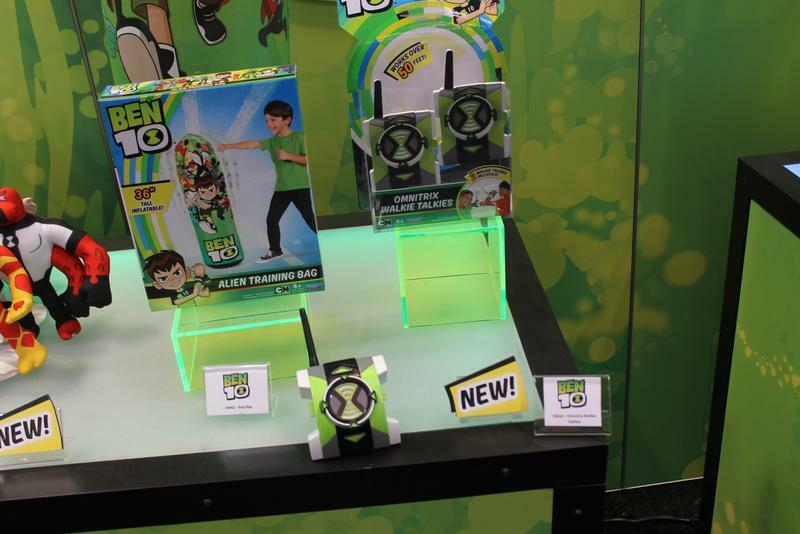 All of the main items will be available this fall. 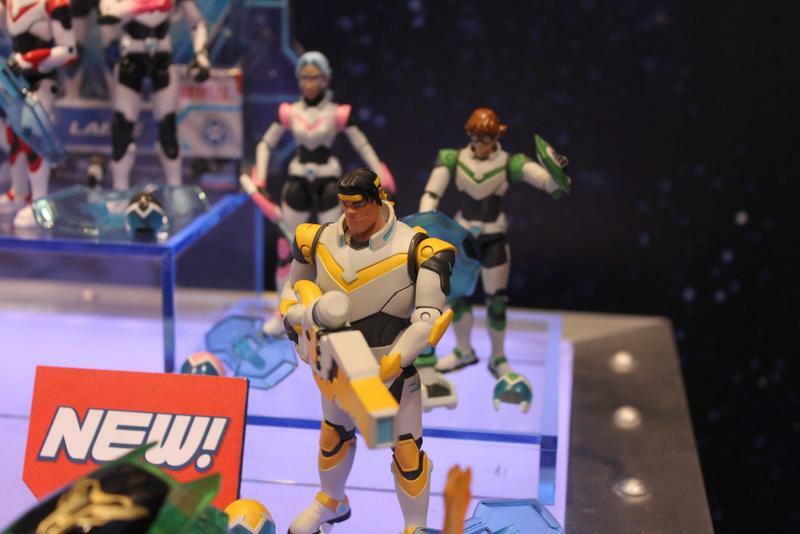 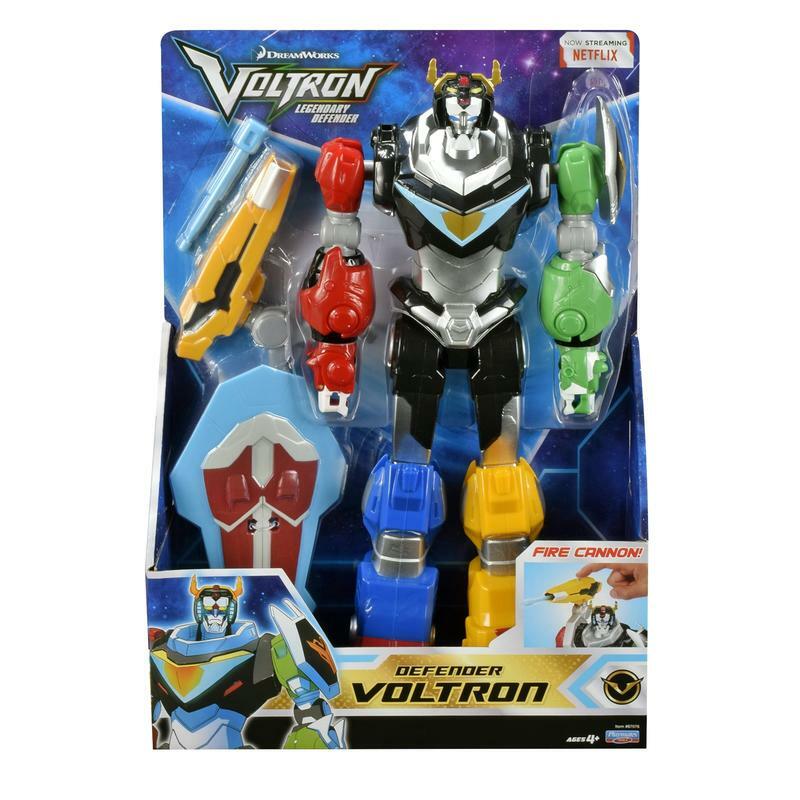 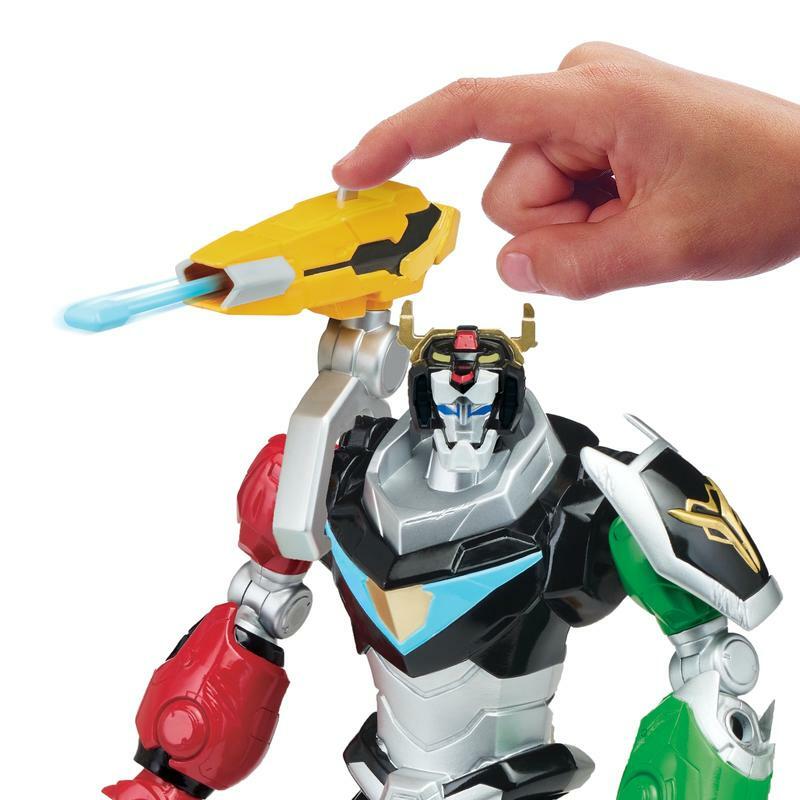 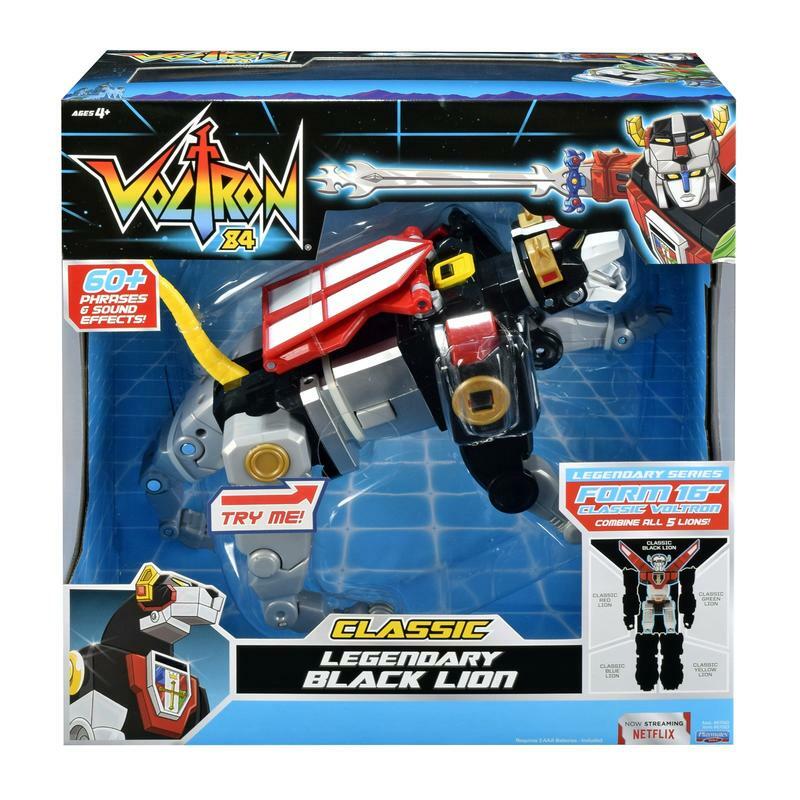 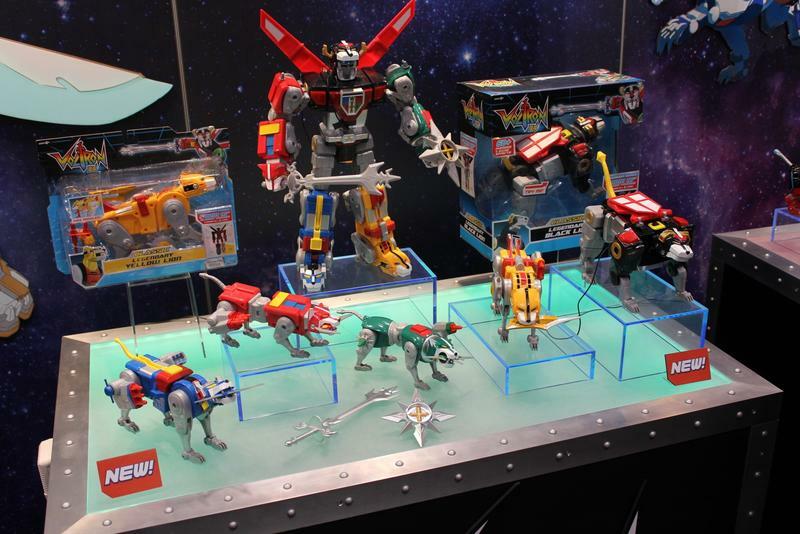 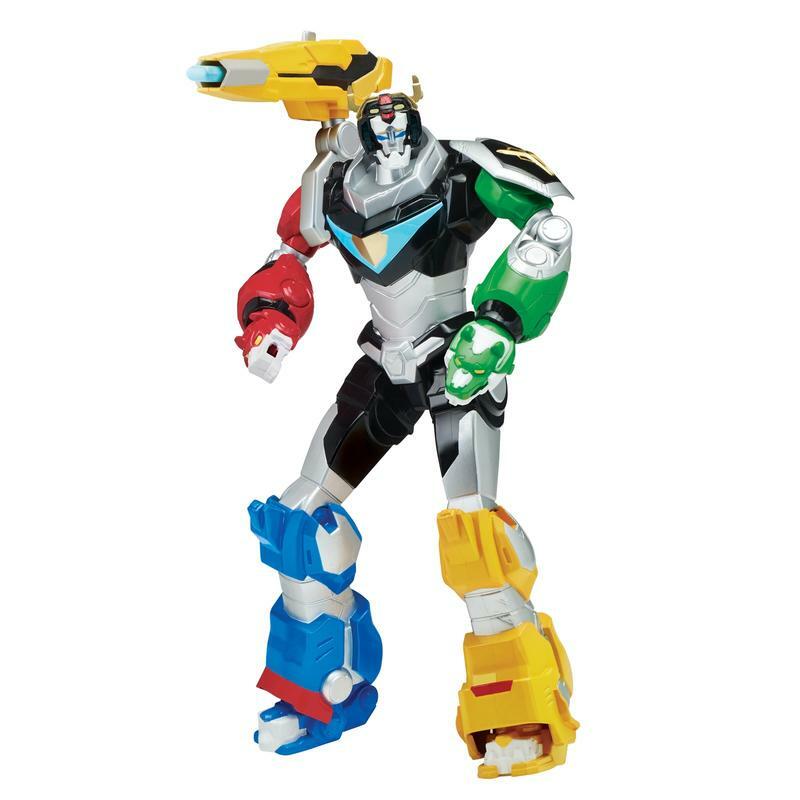 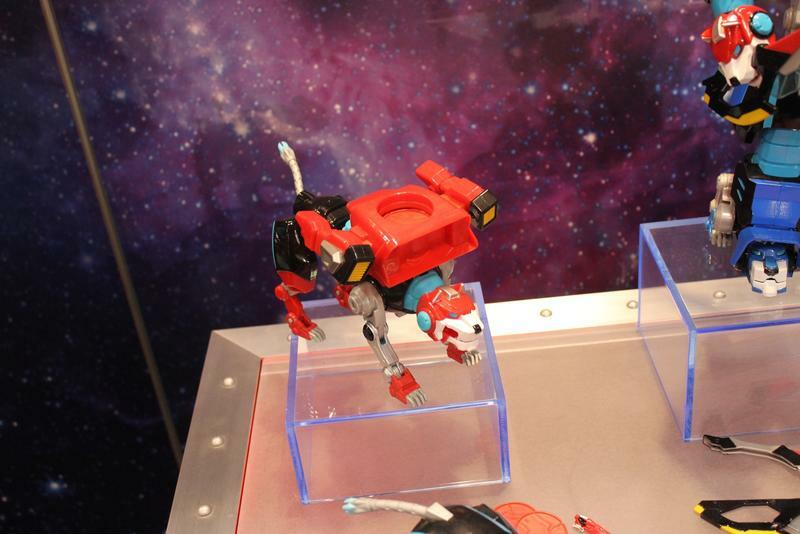 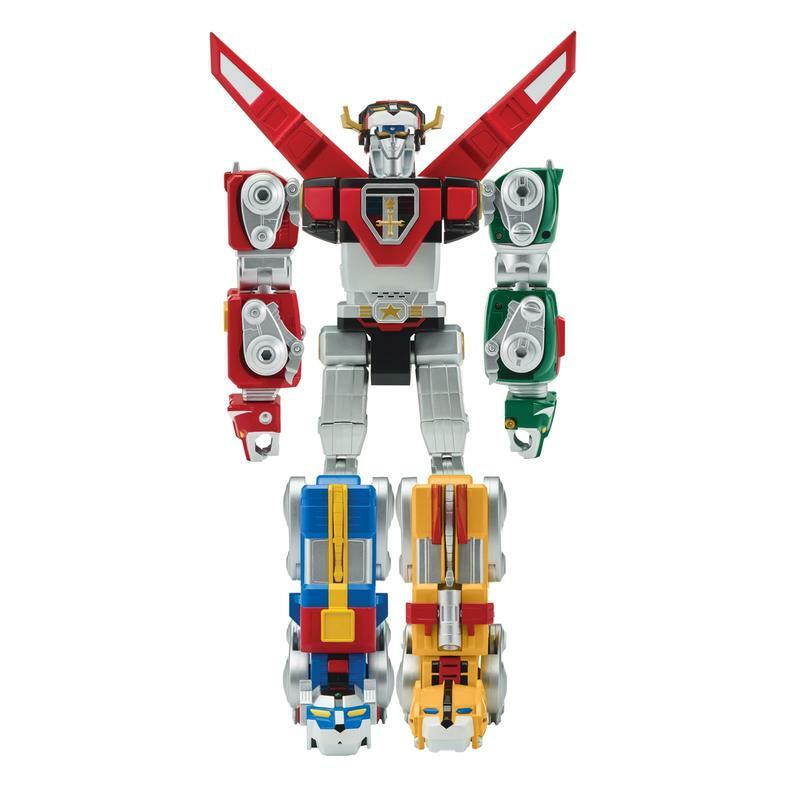 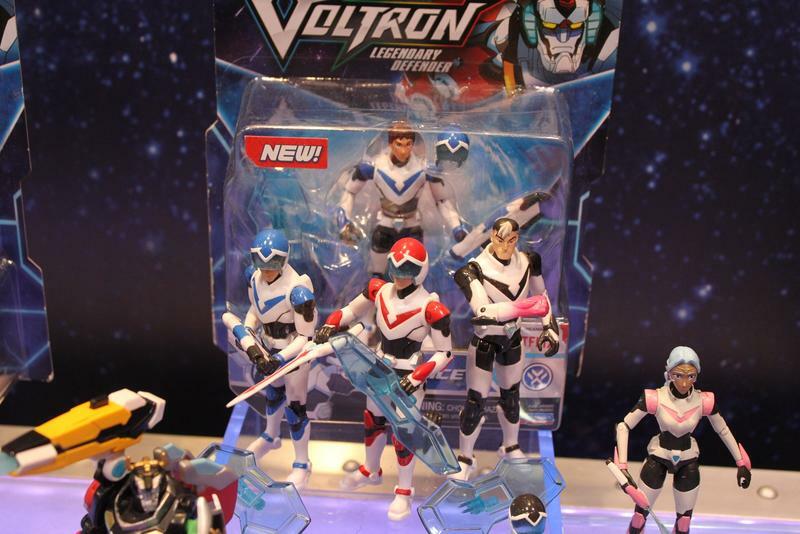 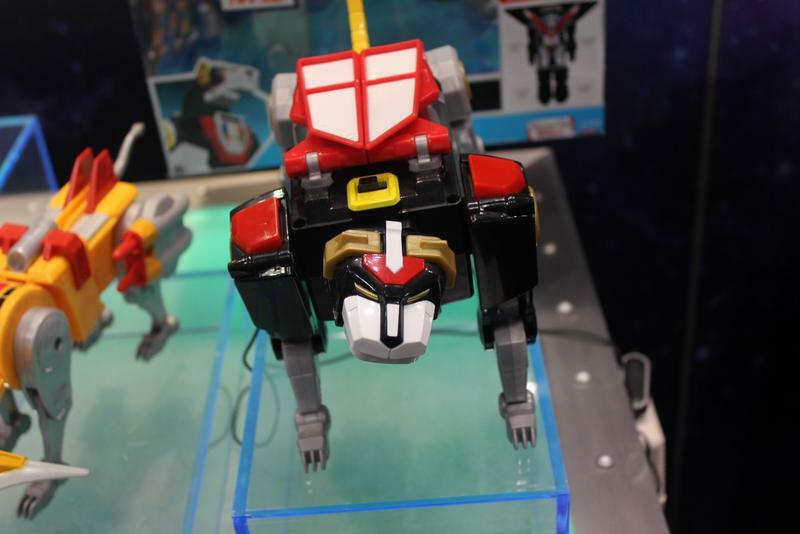 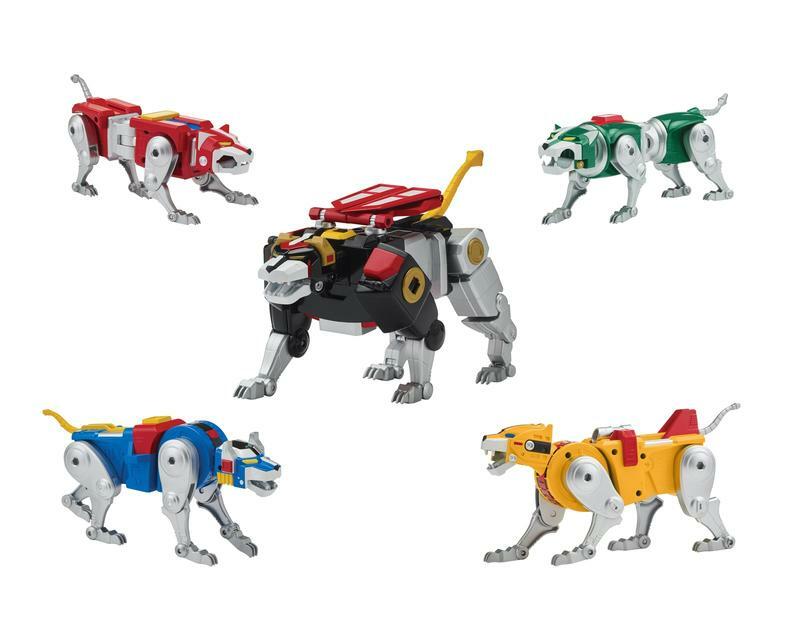 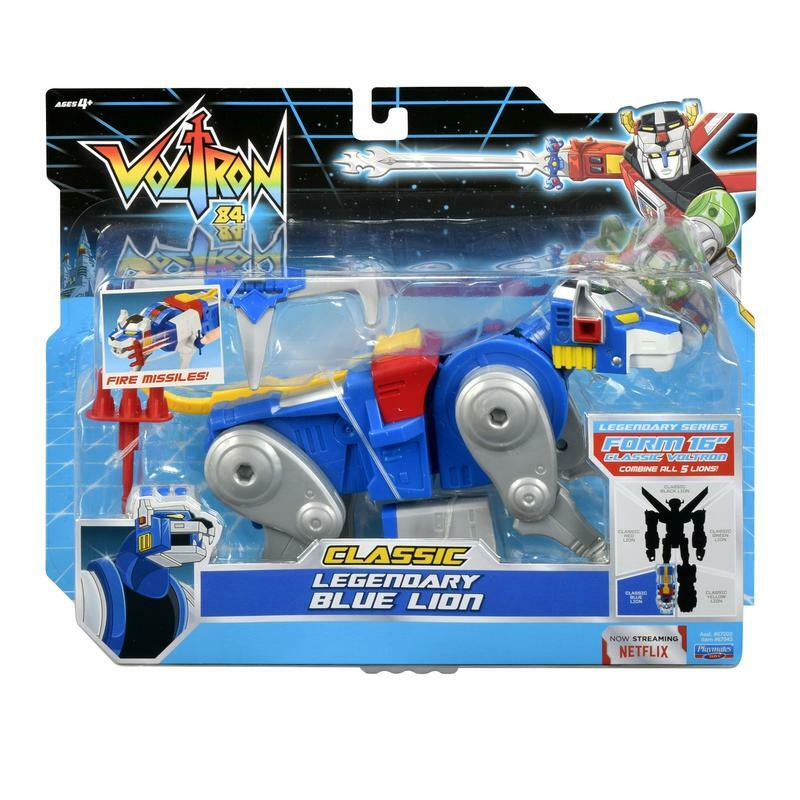 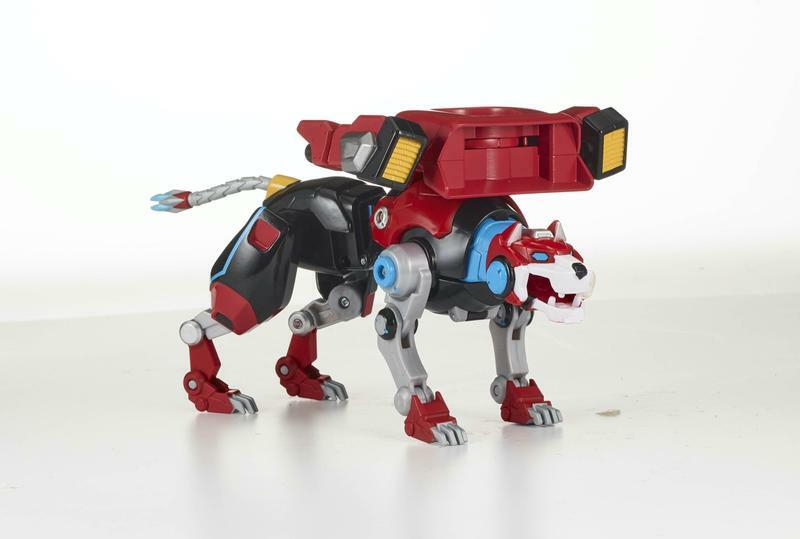 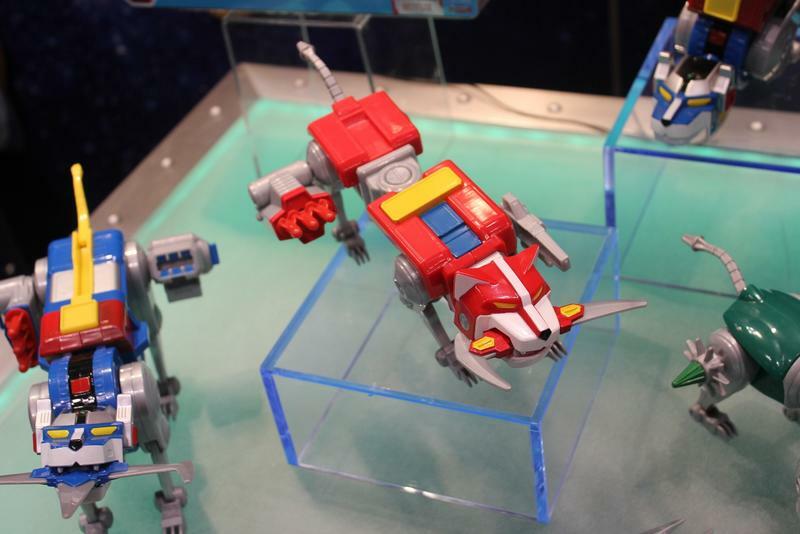 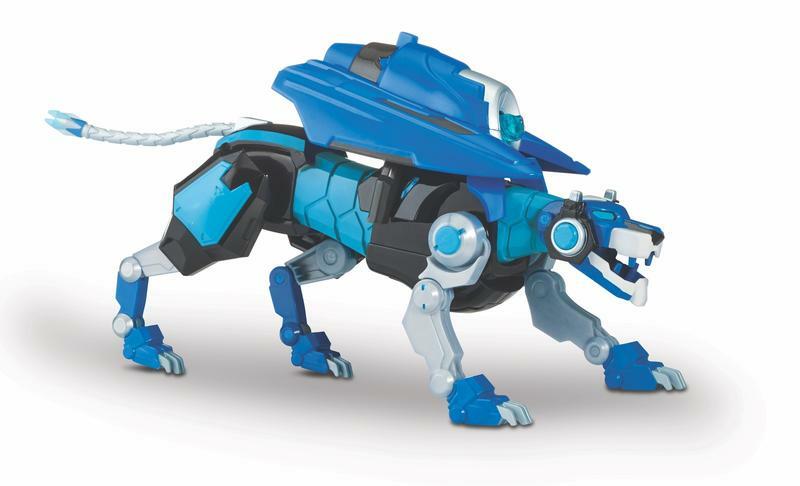 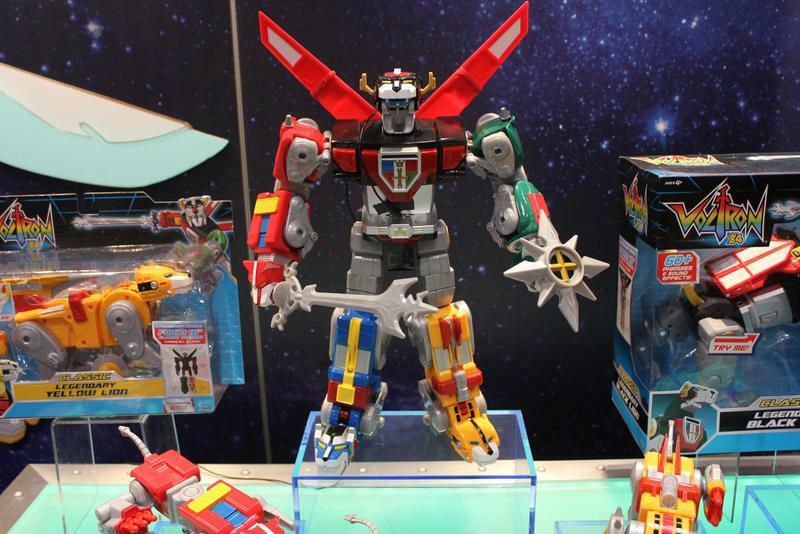 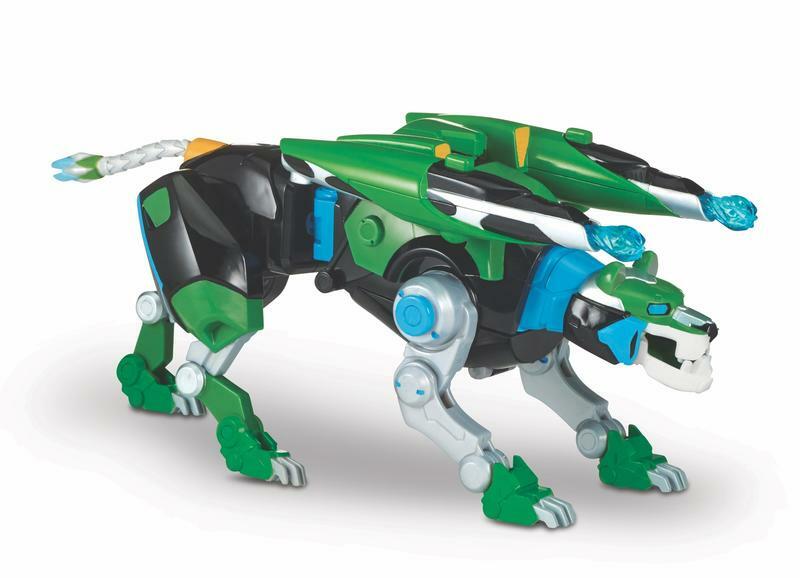 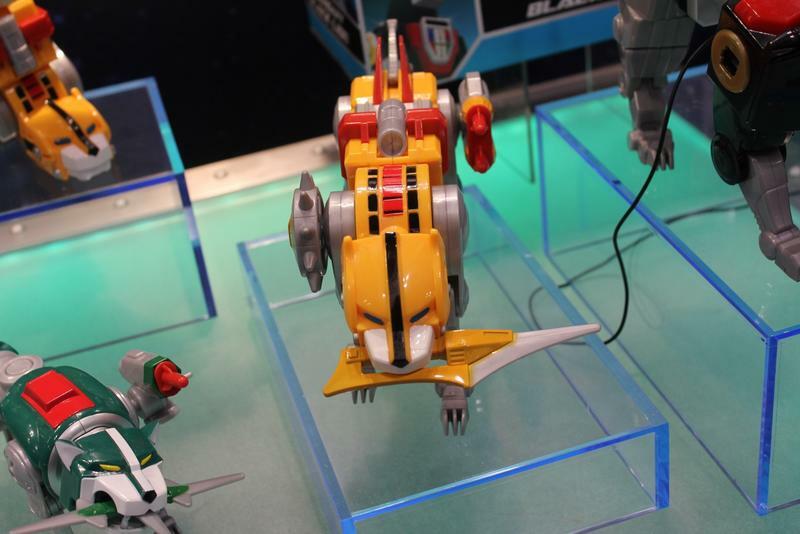 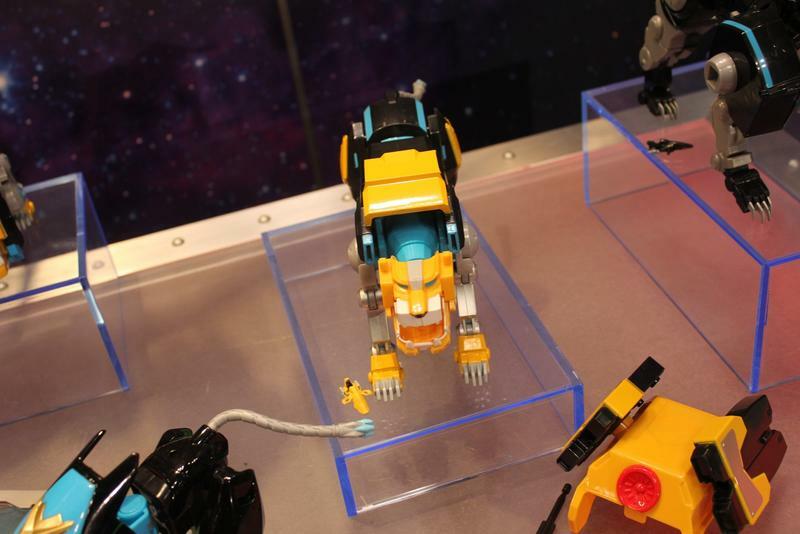 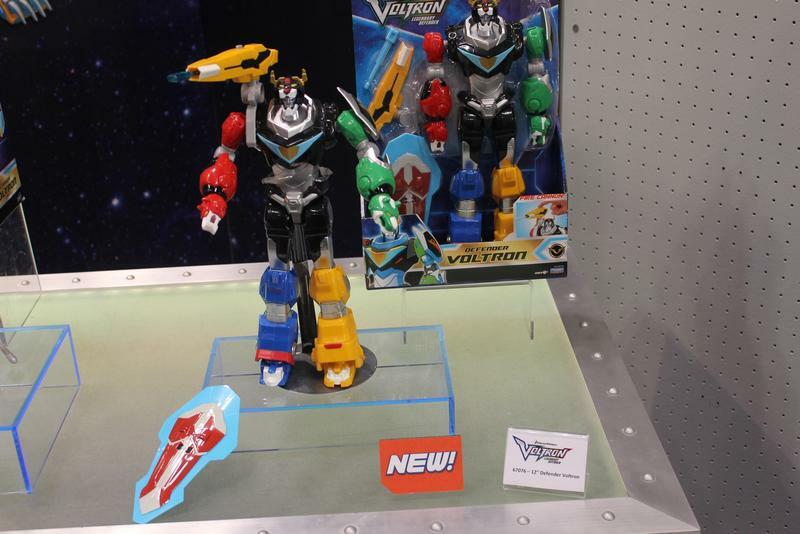 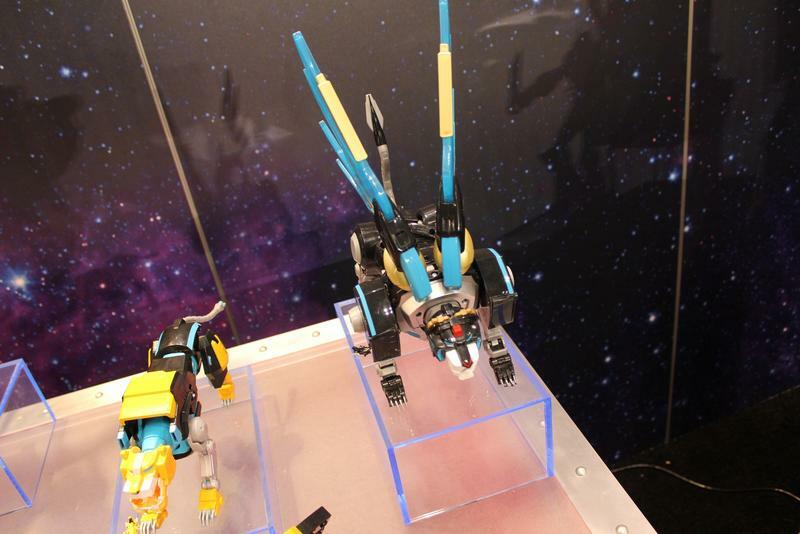 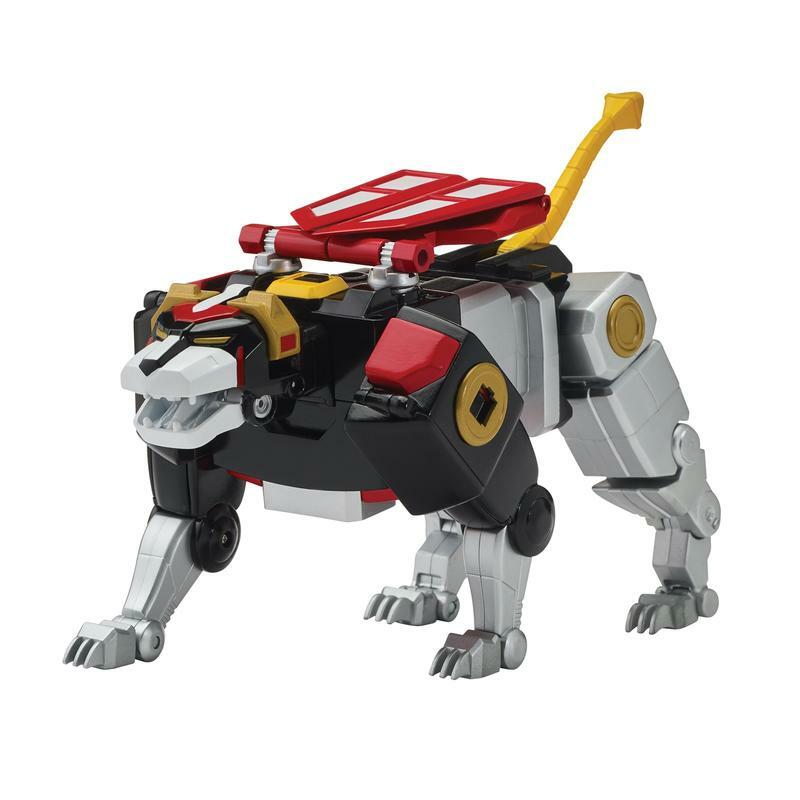 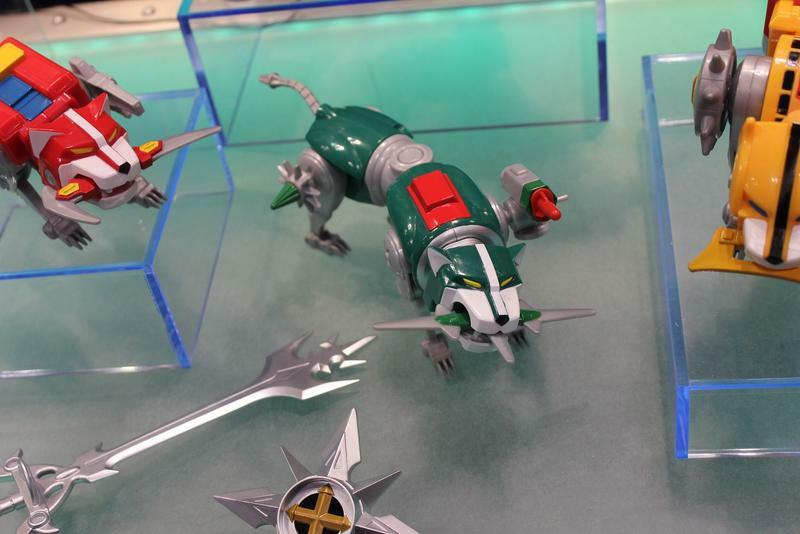 The Voltron: Legendary Defender toyline will see an update with brand new versions of the legendary lines being released that will form the classic version of Voltron. 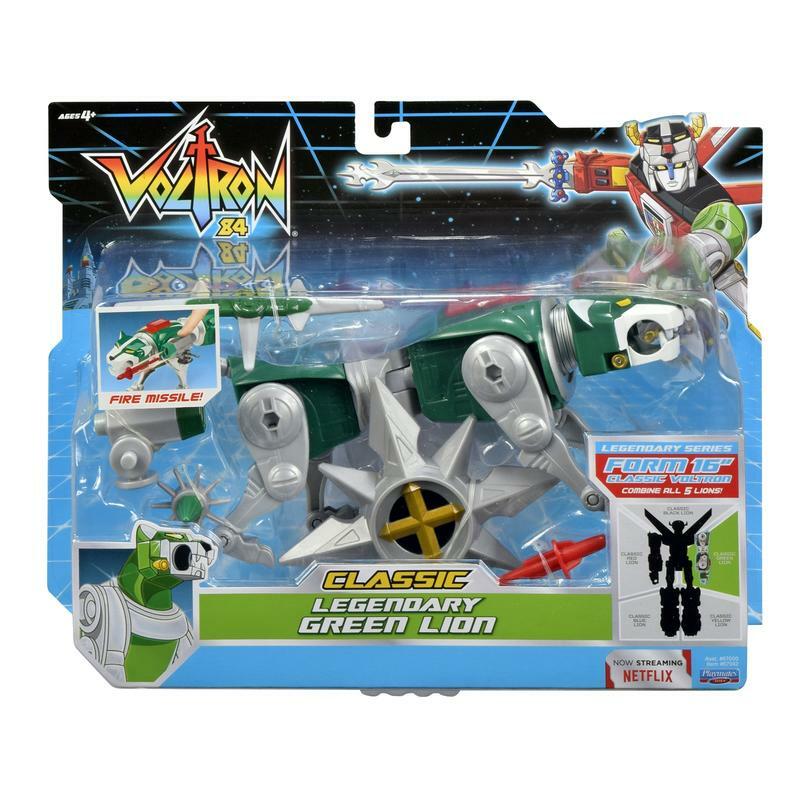 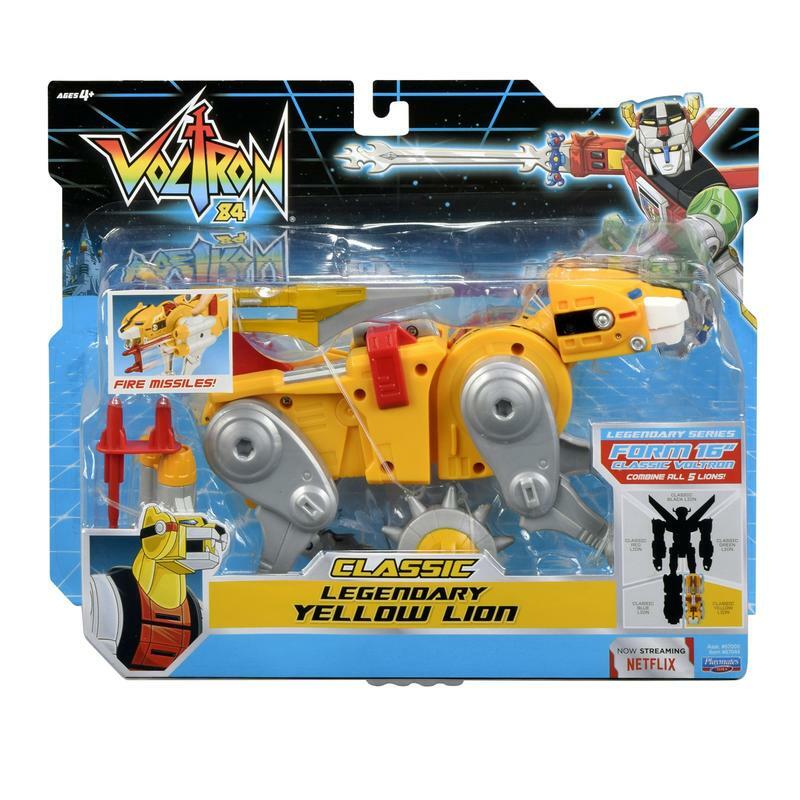 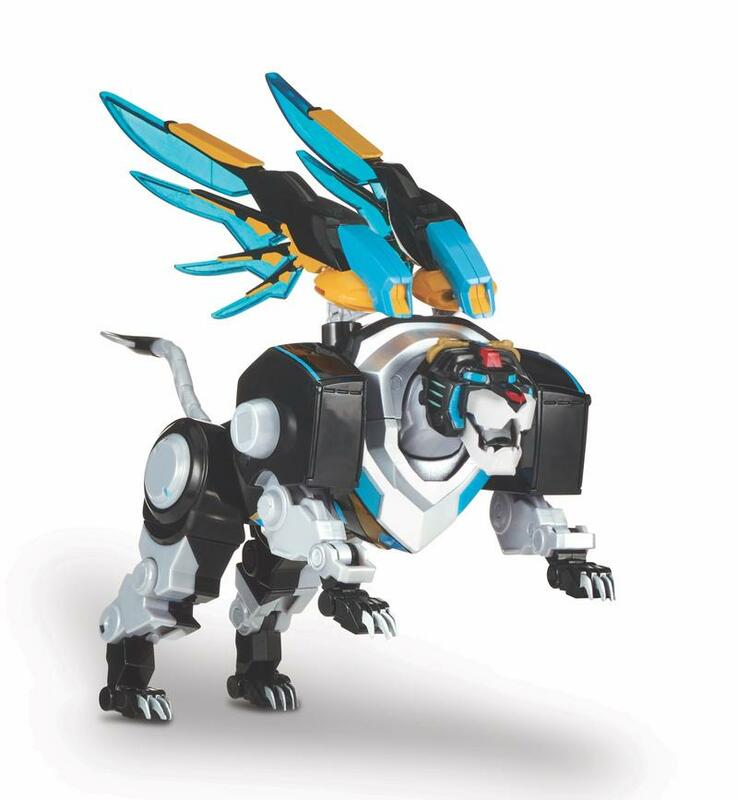 For the current Netflix series you will see the release of Hyper-Phase Lions that will combine to form the Hyper-Phase version of Voltron. 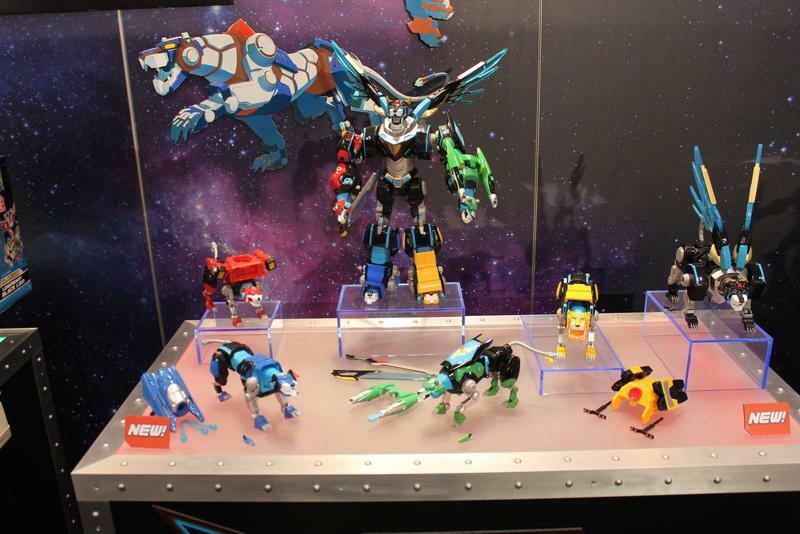 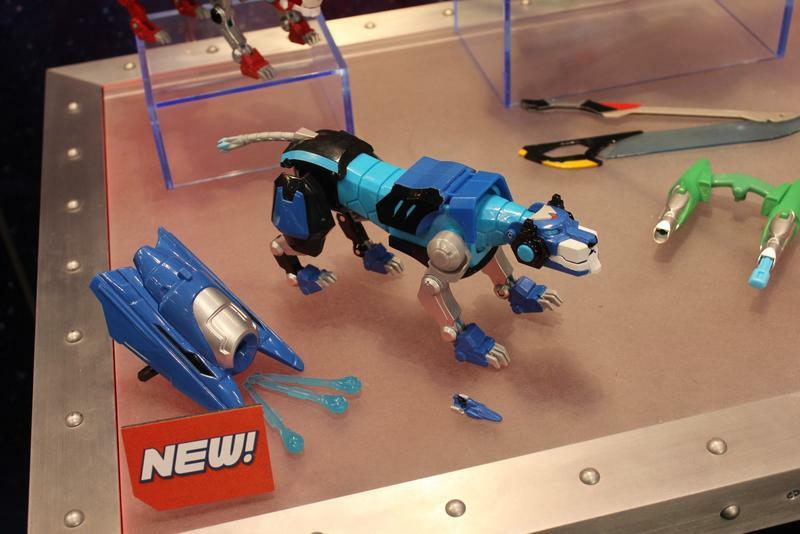 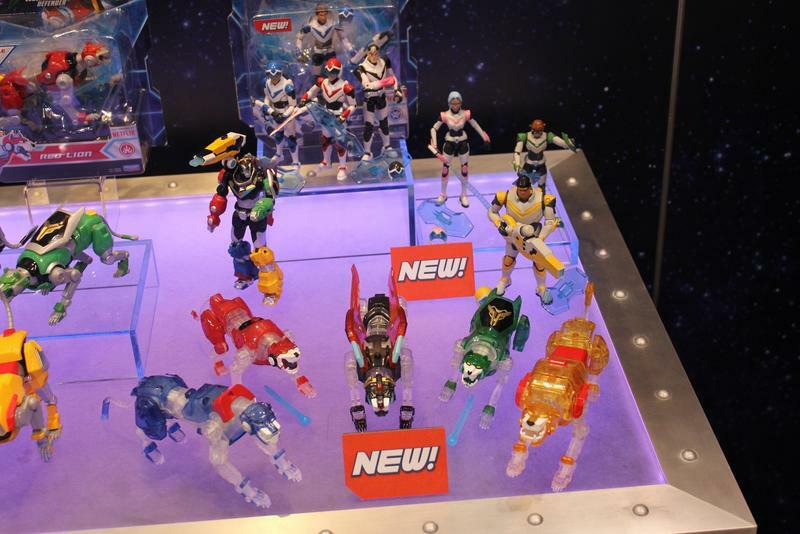 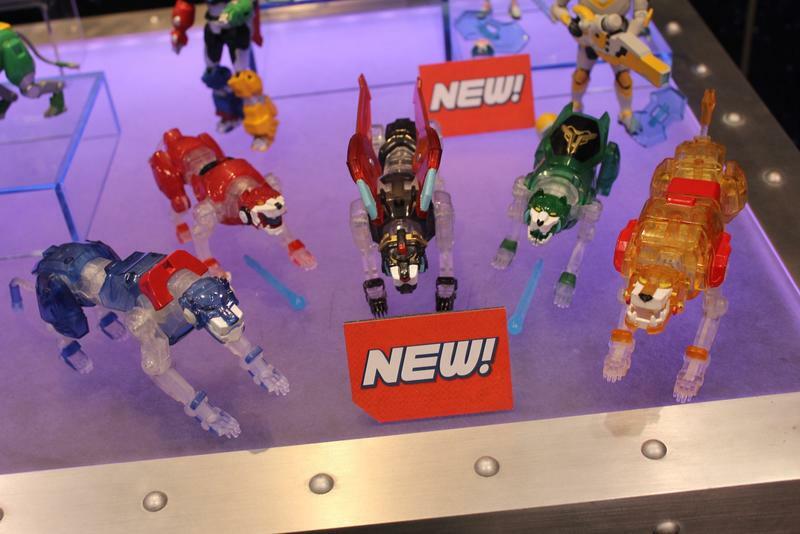 There will also be some new basic figures and a 12-inch Defender Voltron released as a completed piece. 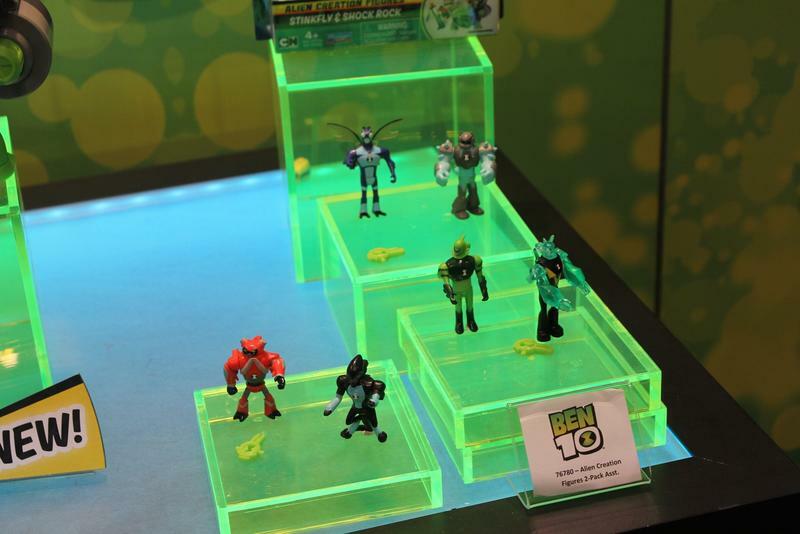 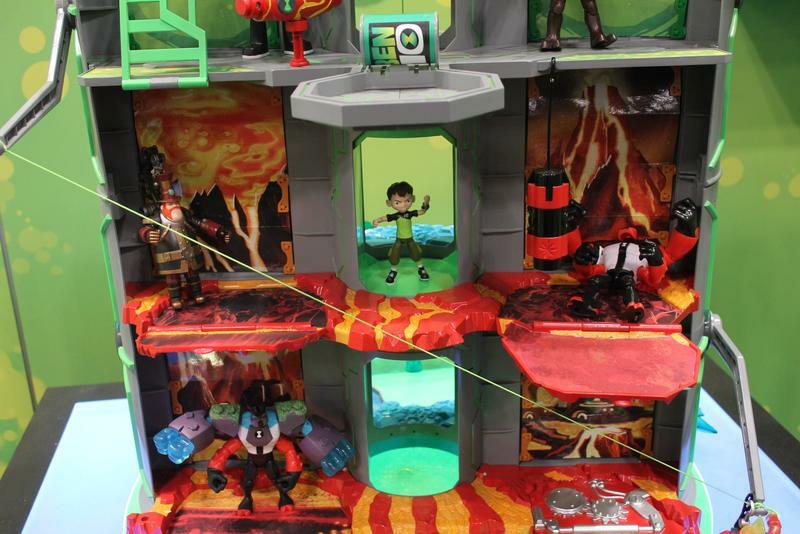 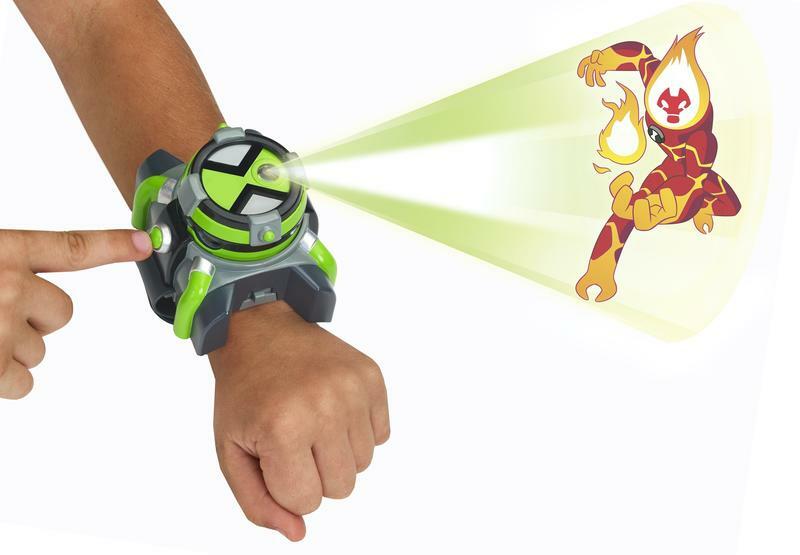 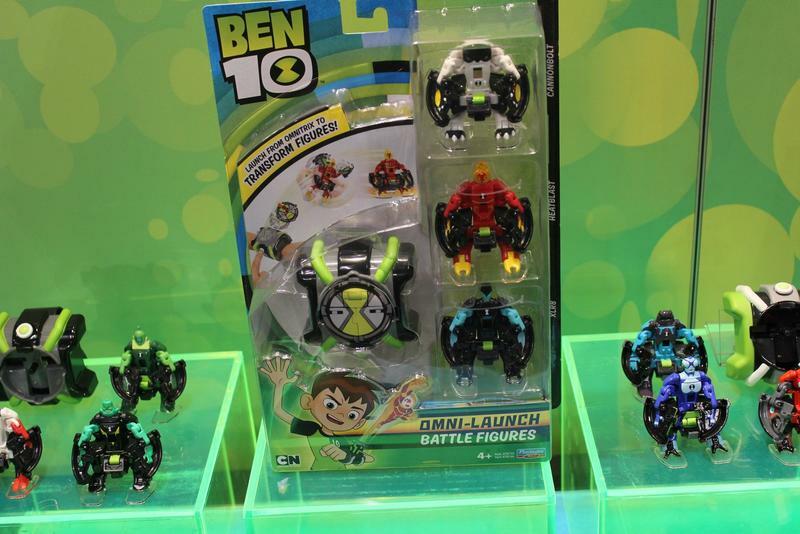 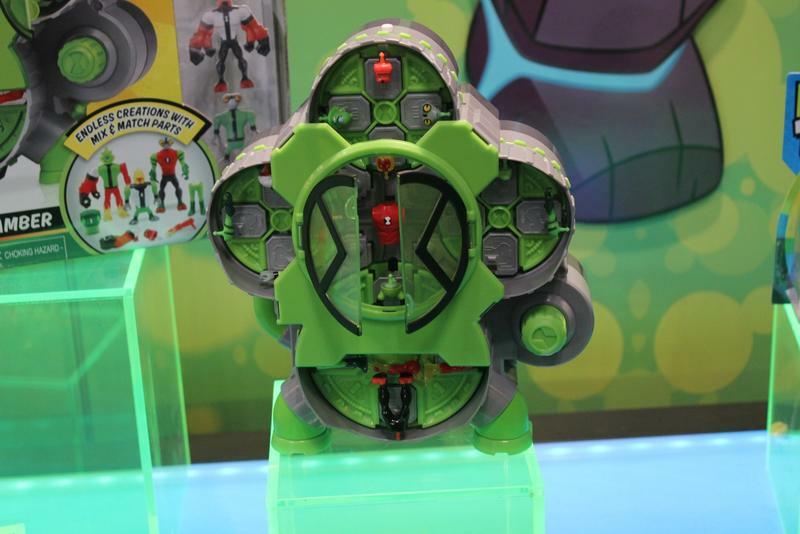 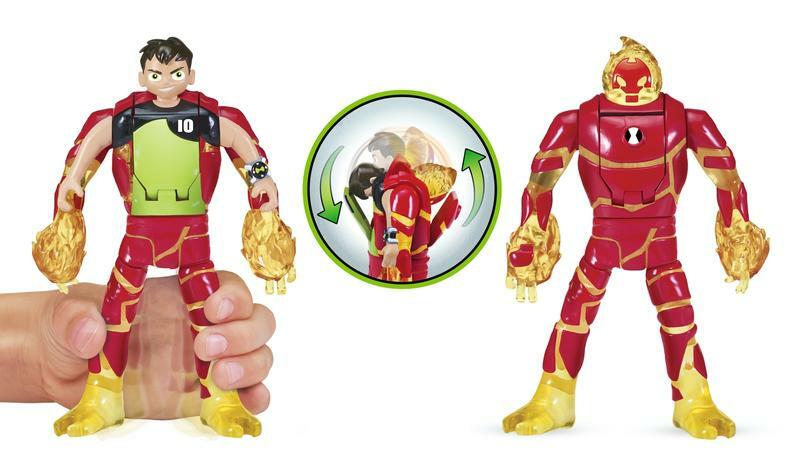 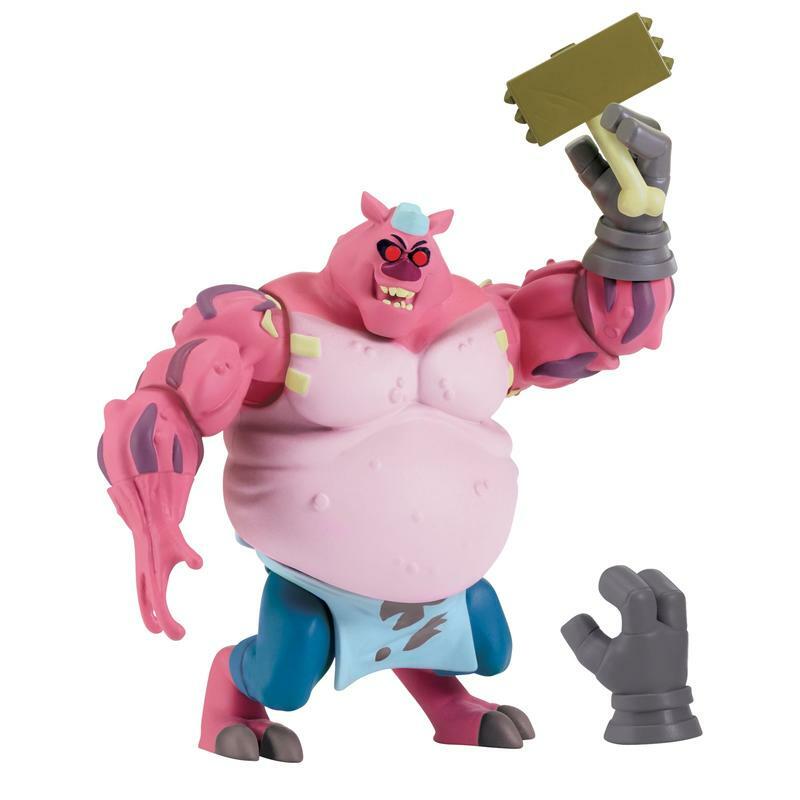 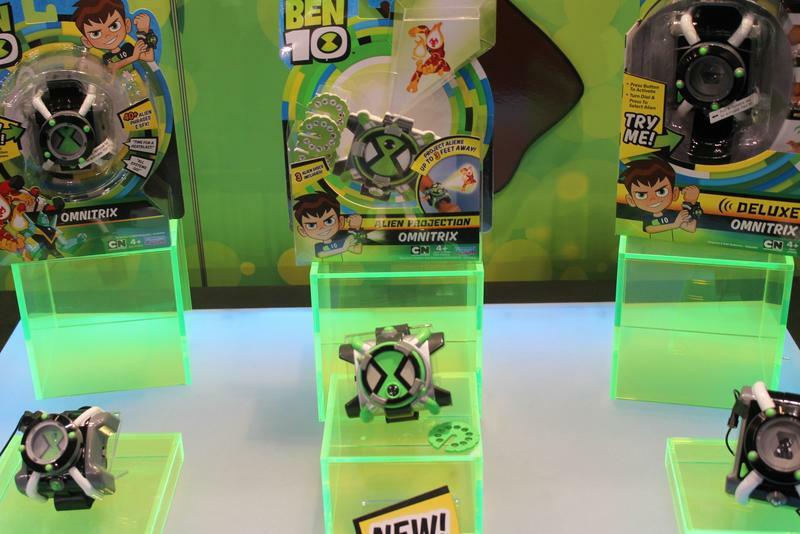 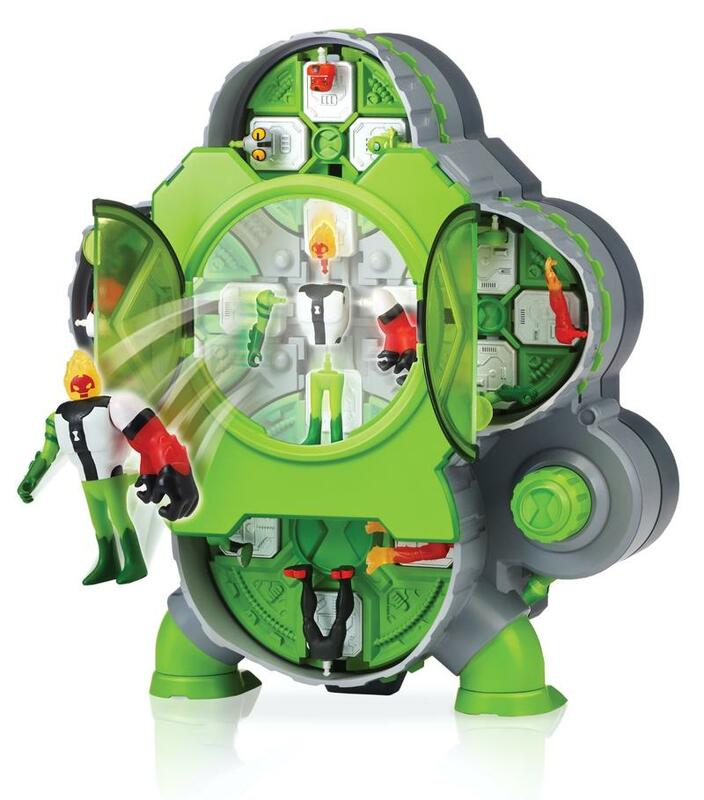 Ben 10 continues the alien fun with an update to the basic action figure assortment, new Omni-Launch Battle Figures, Deluxe Transforming Figures, alien vehicles and more. 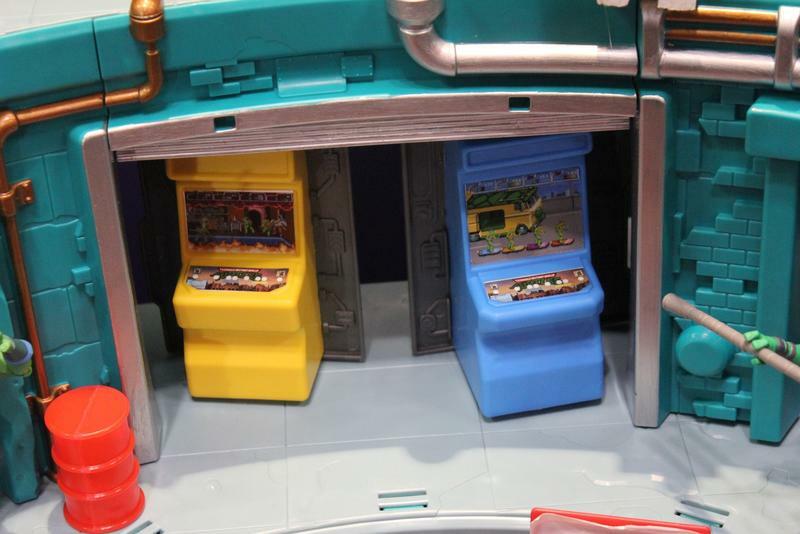 The two stand out items for us were the Alien Creation Chamber which will allow you to pull apart 2-inch figures, place the parts in the machine and then spin them to reassemble them as completely new alien creations of your own. 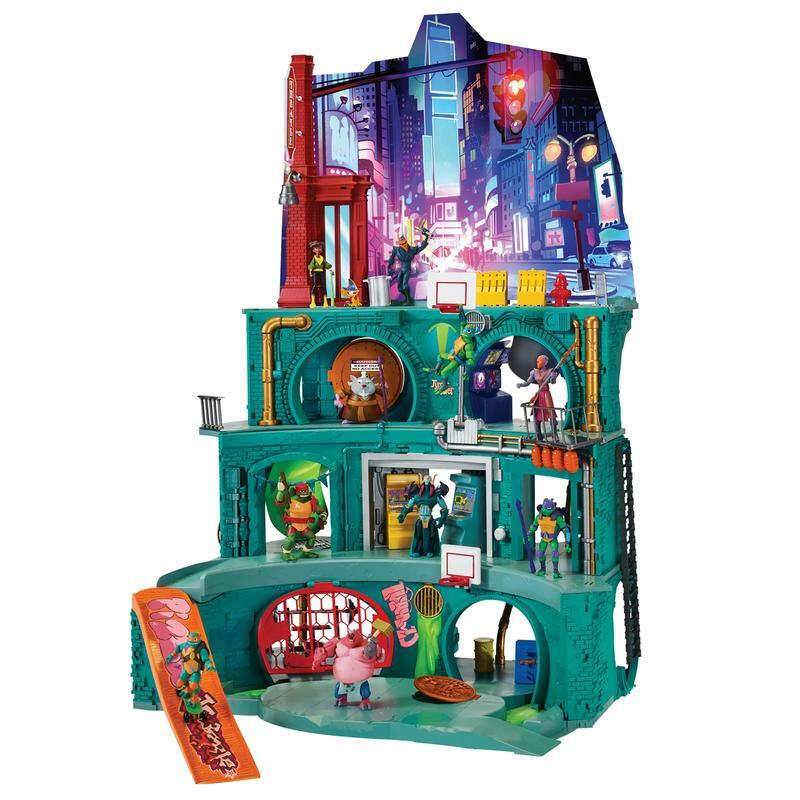 And of course, a new massive playset. 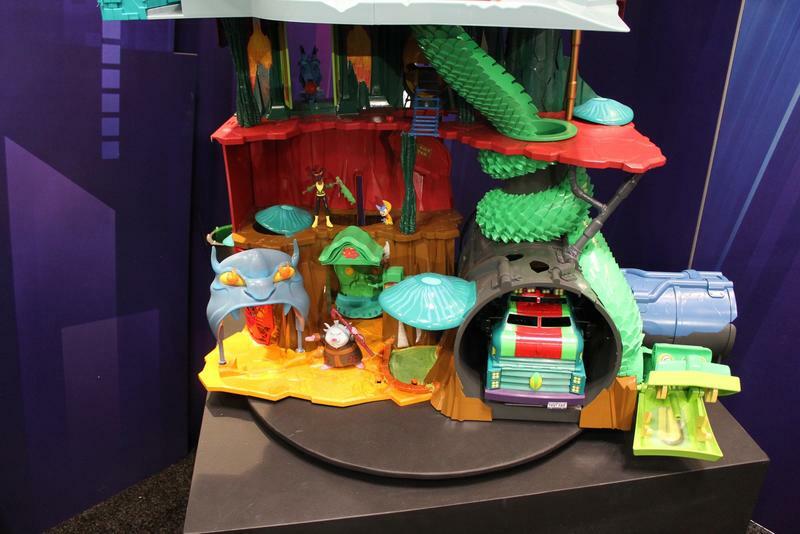 Playmates does love a playset. 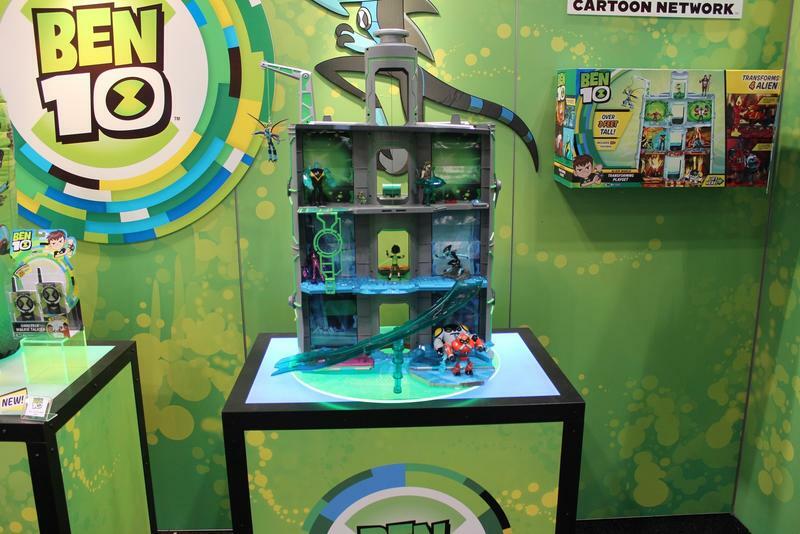 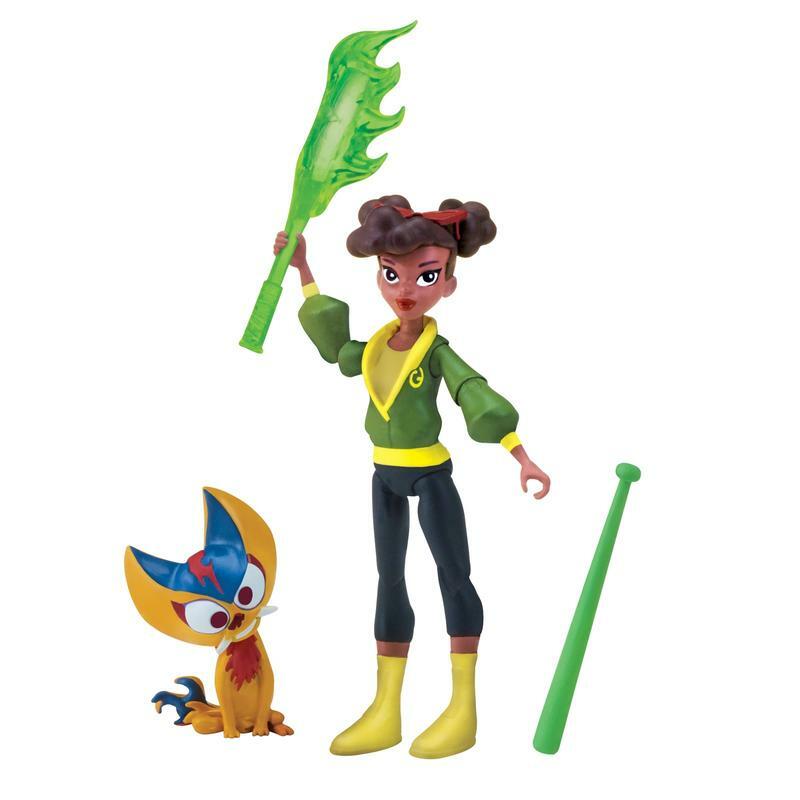 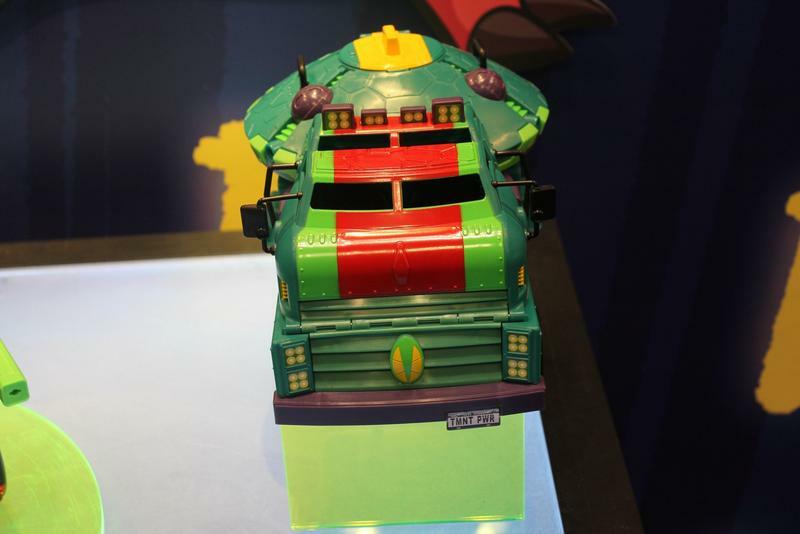 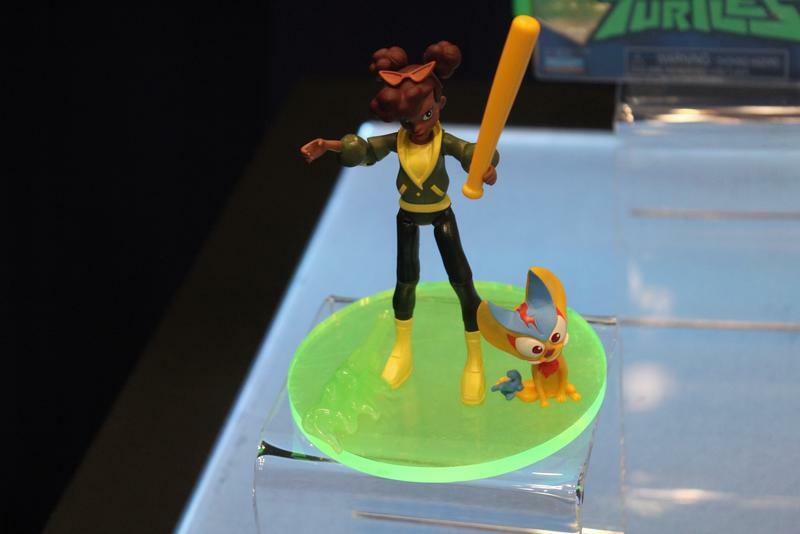 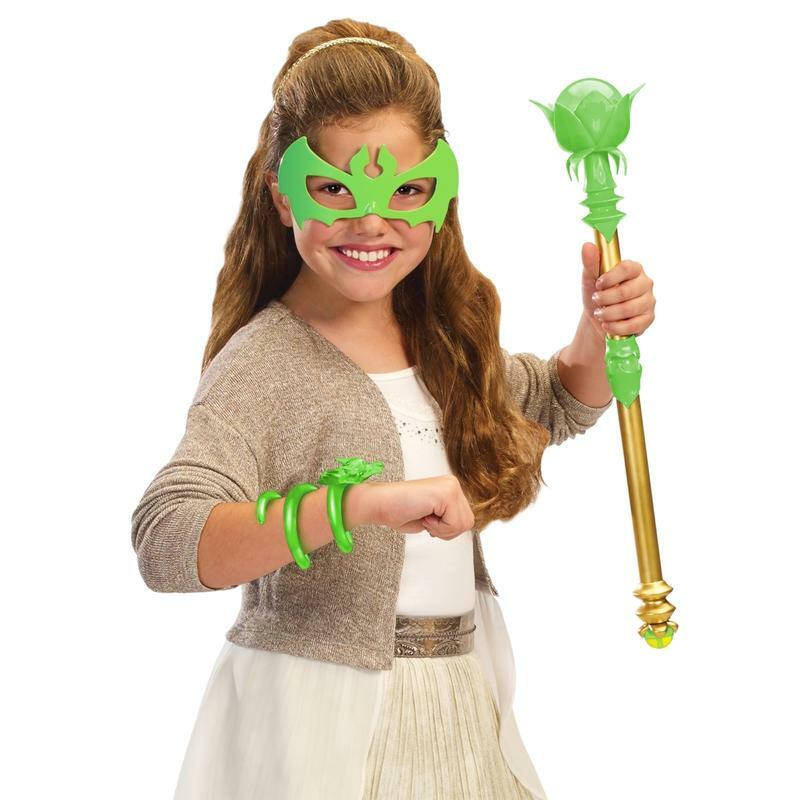 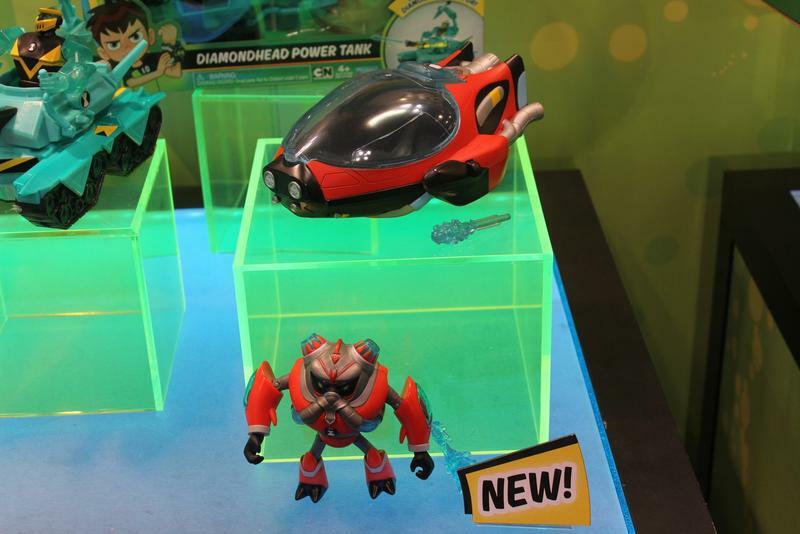 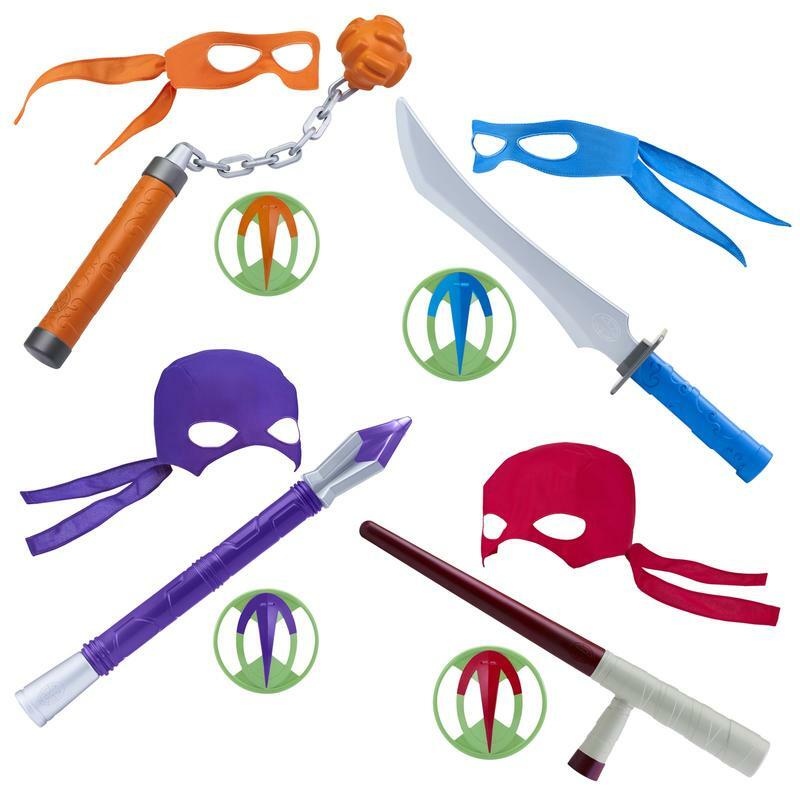 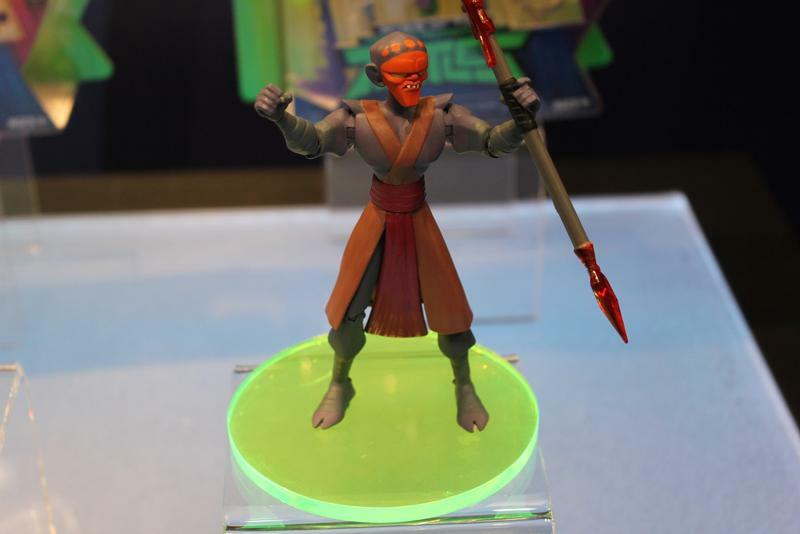 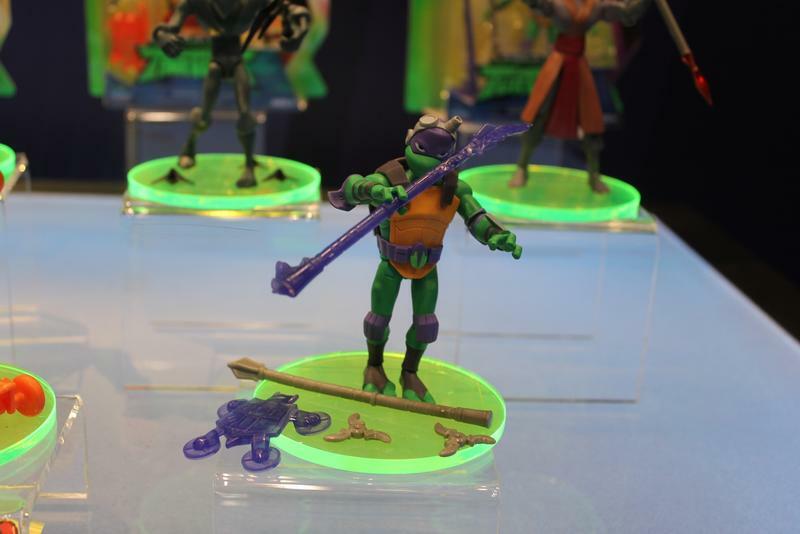 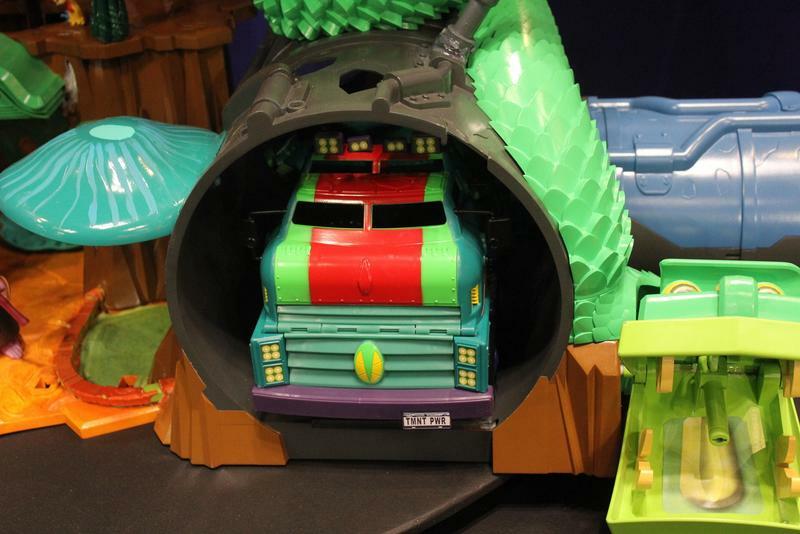 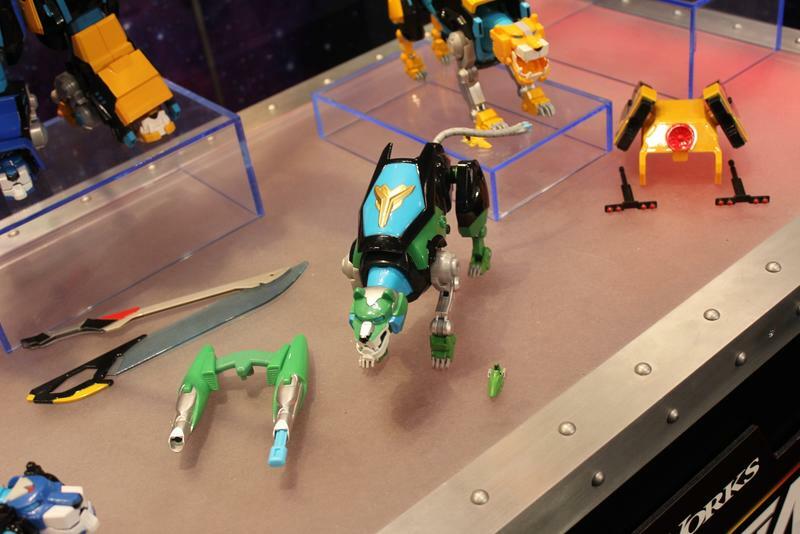 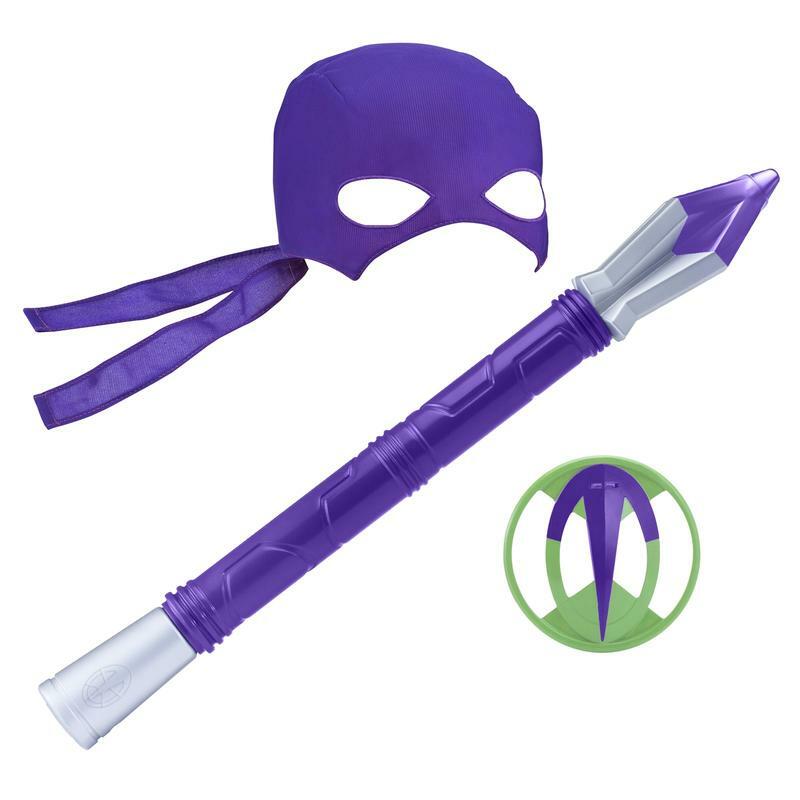 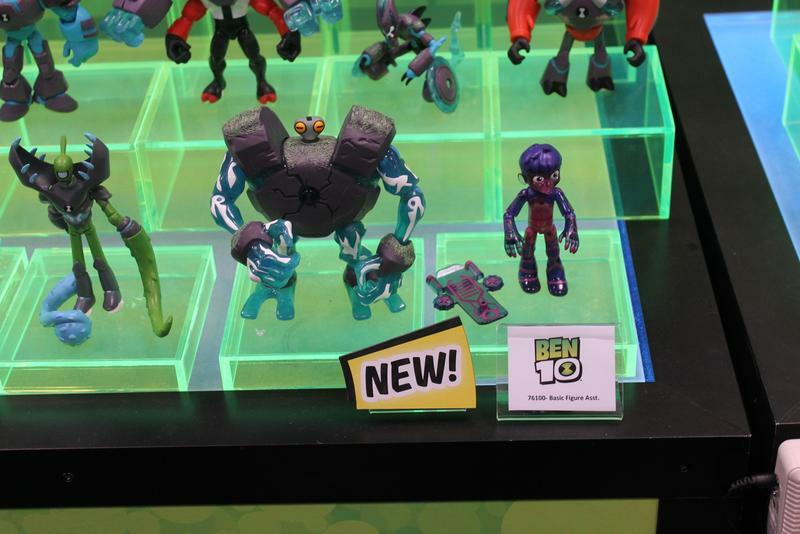 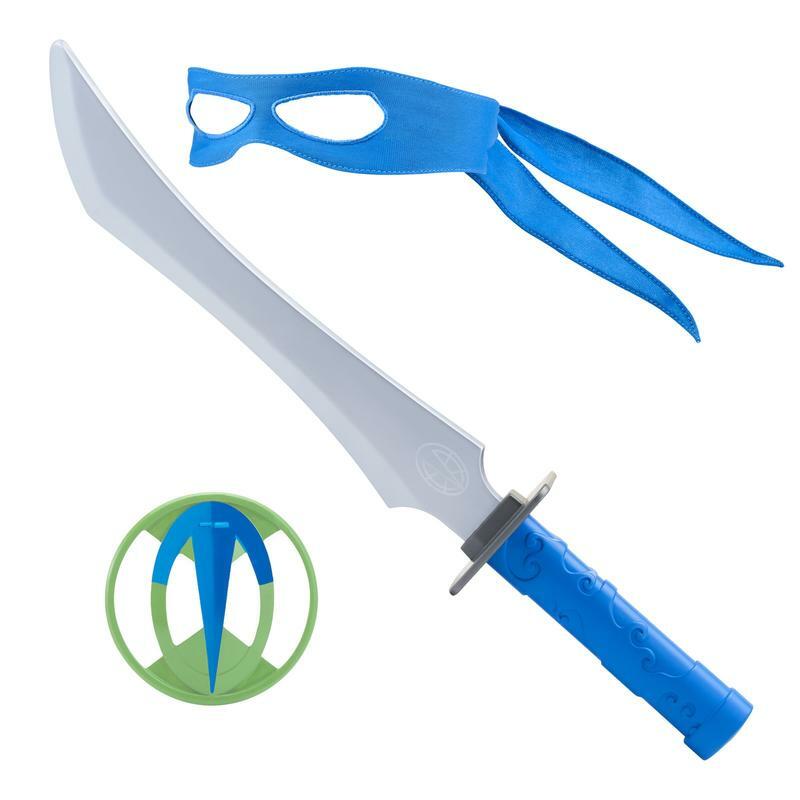 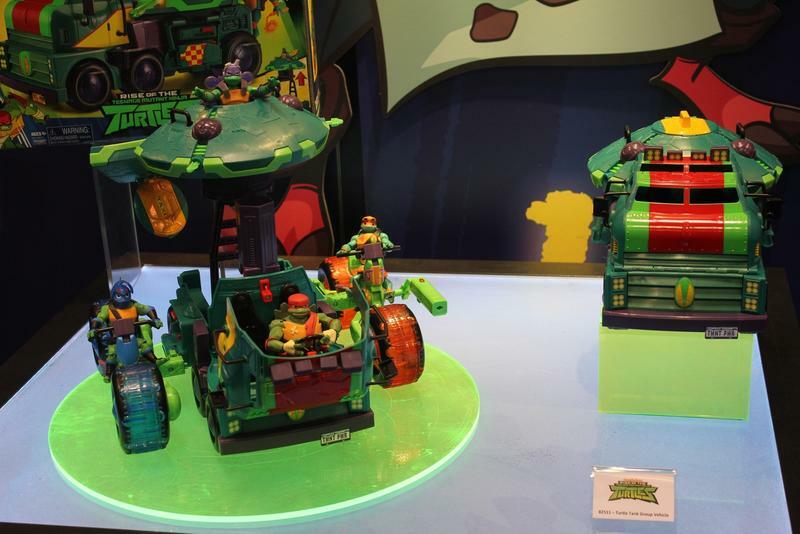 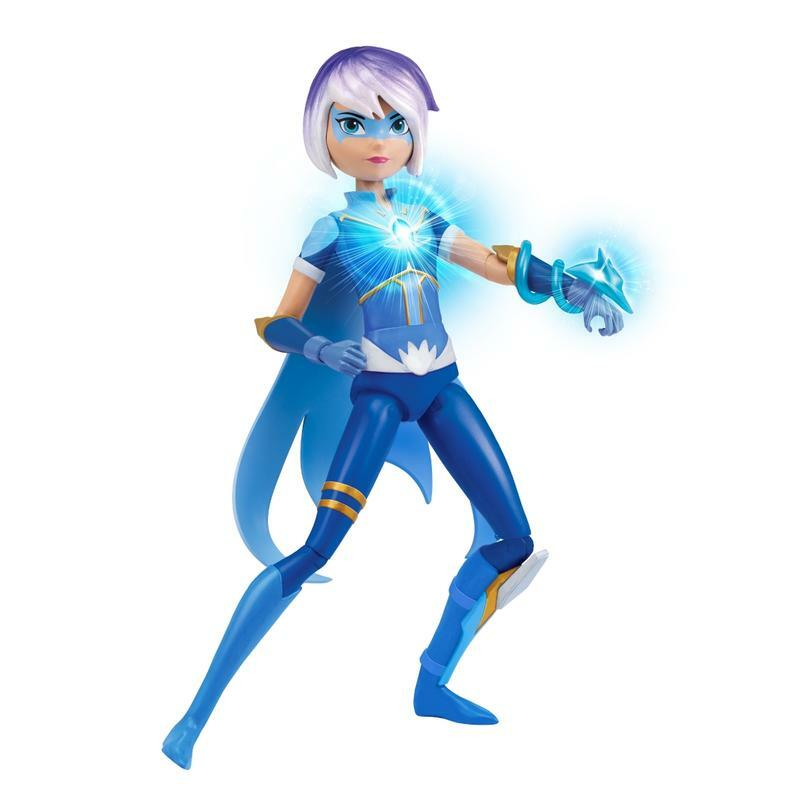 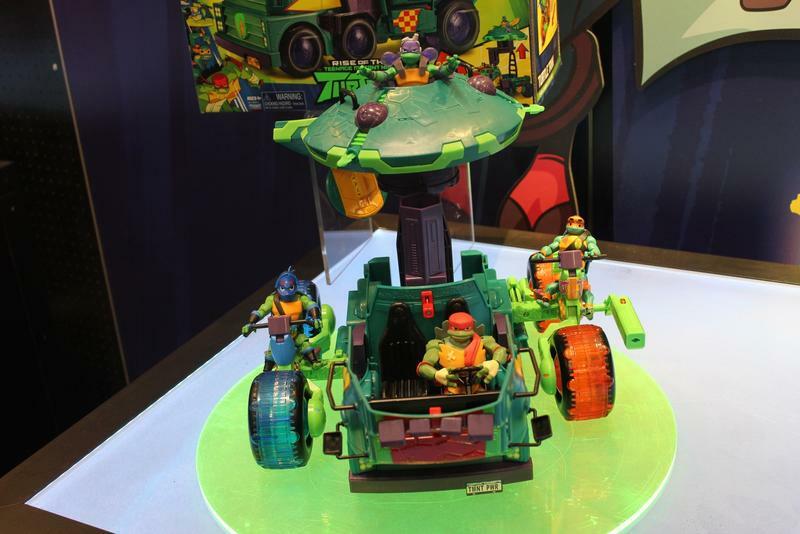 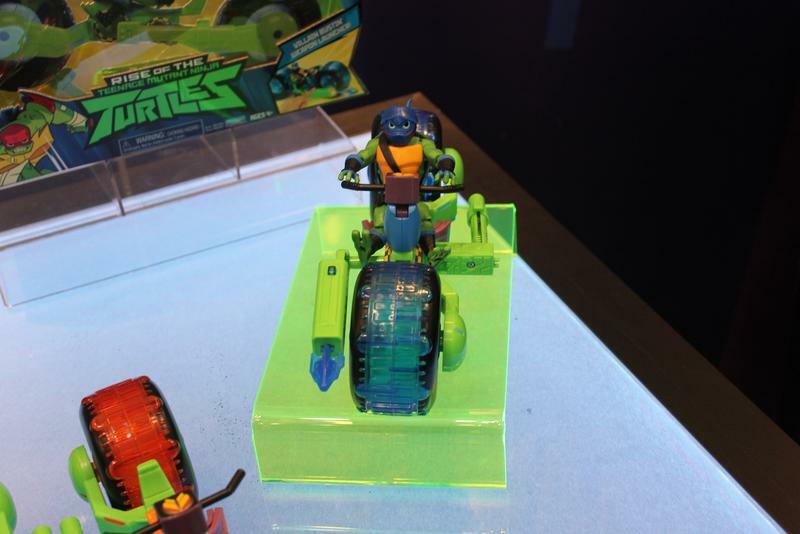 The Mysticons line was at Toy Fair last year, but the press weren’t allowed to photograph the line at that time as the animated series hadn’t debuted yet. 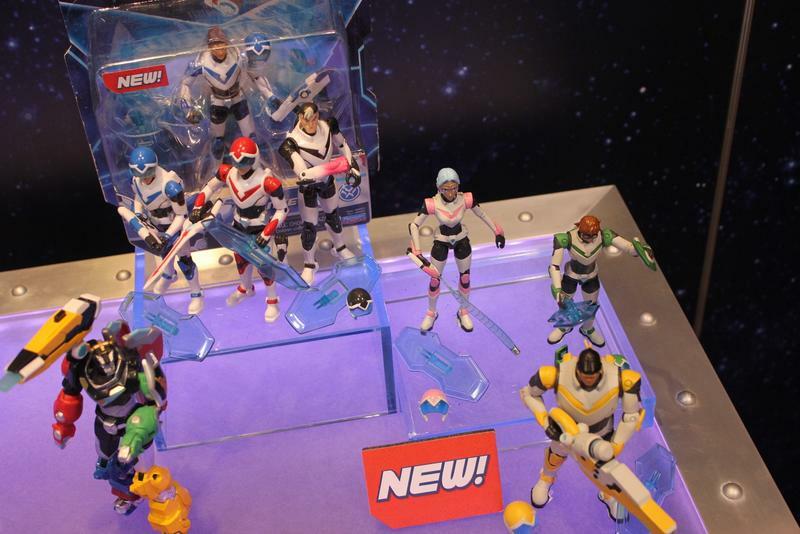 Now everything is out there for the world to see, and the line is expanding this year. 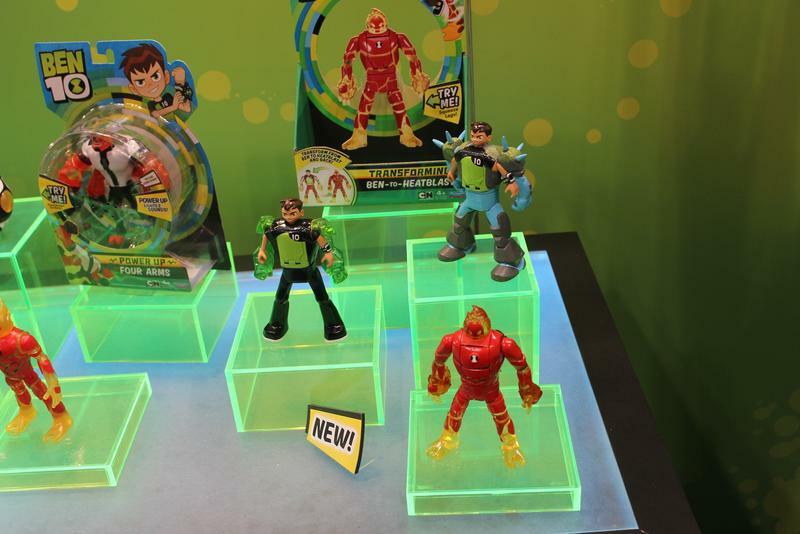 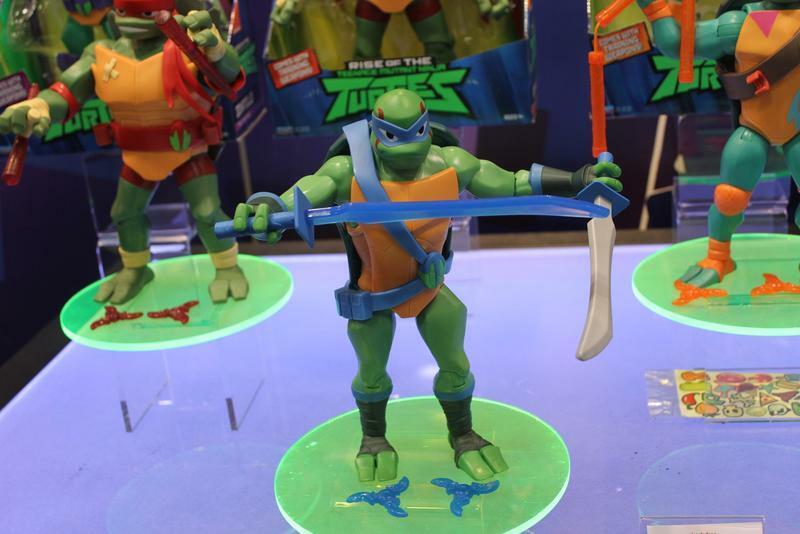 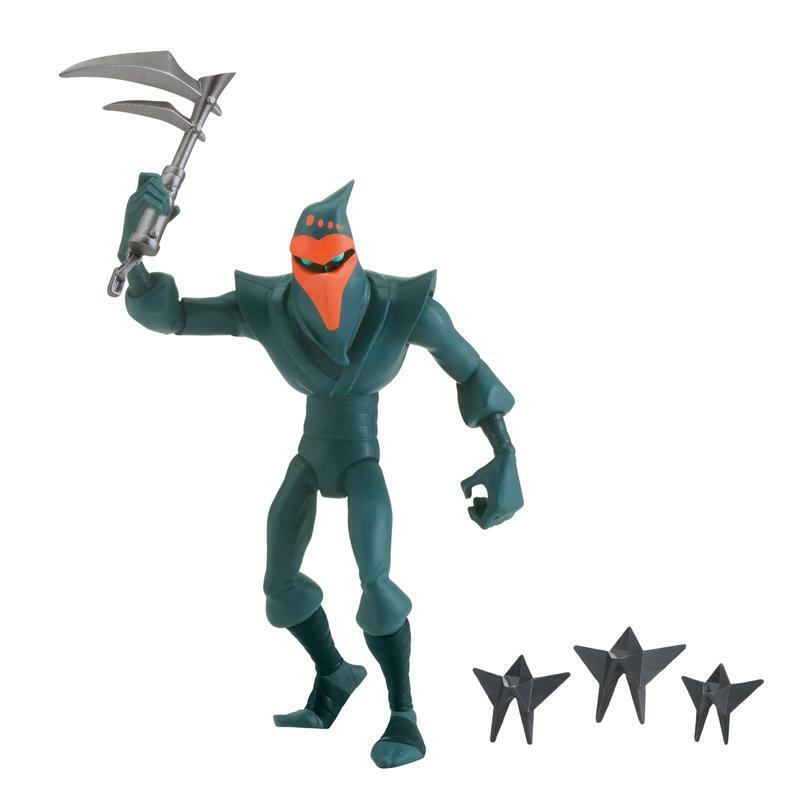 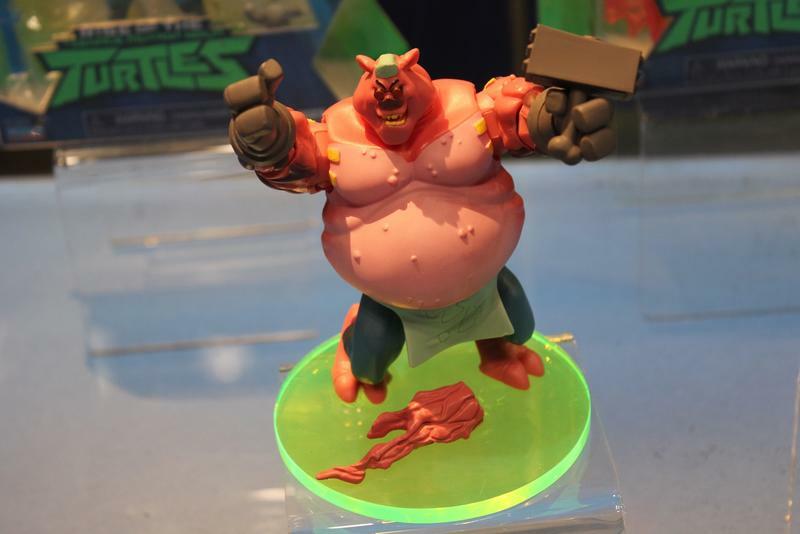 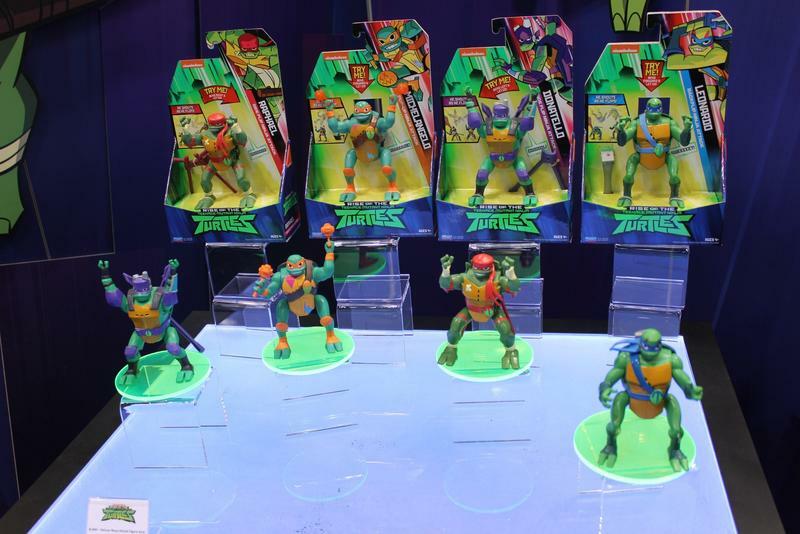 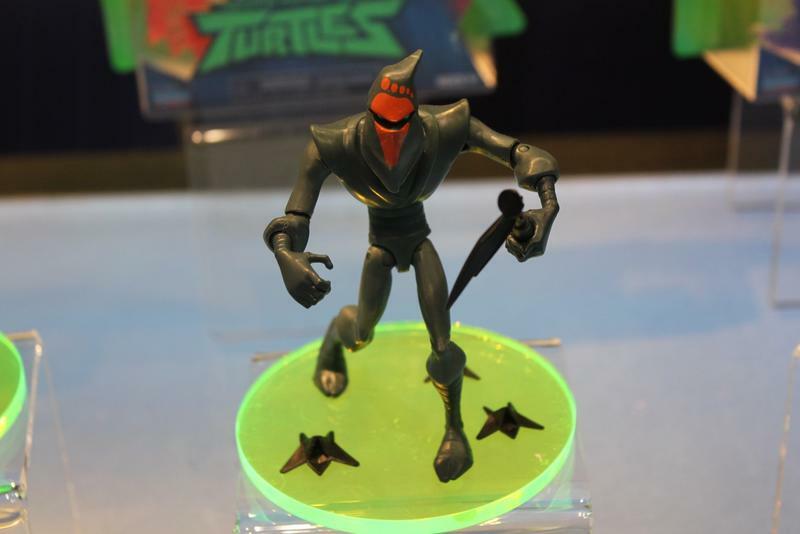 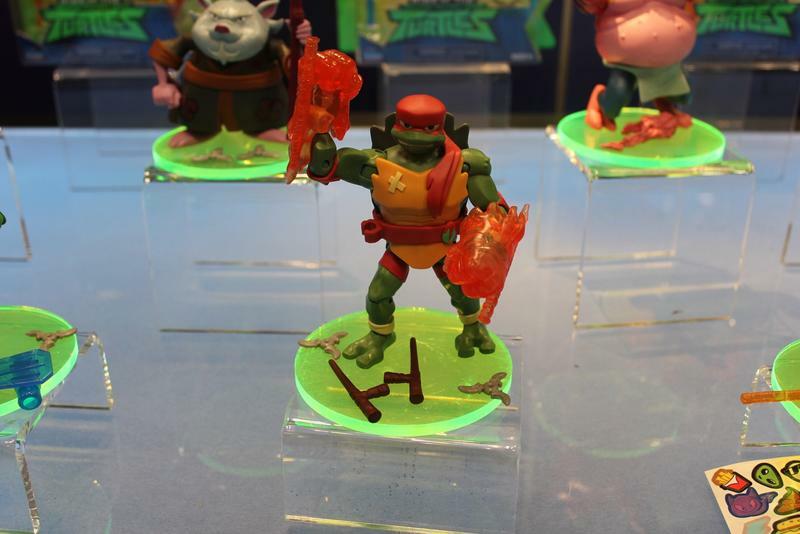 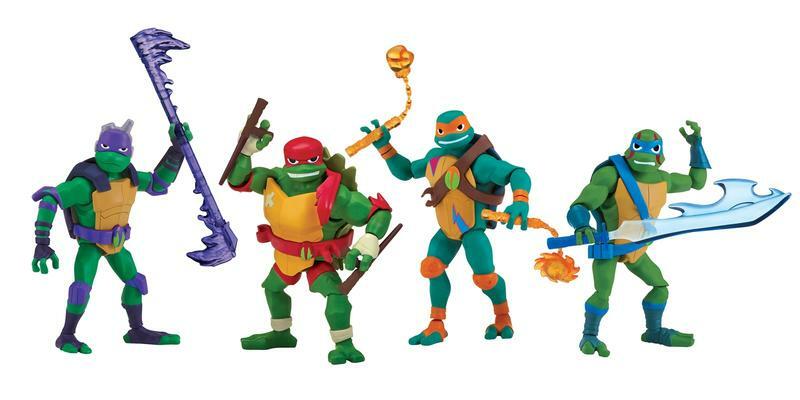 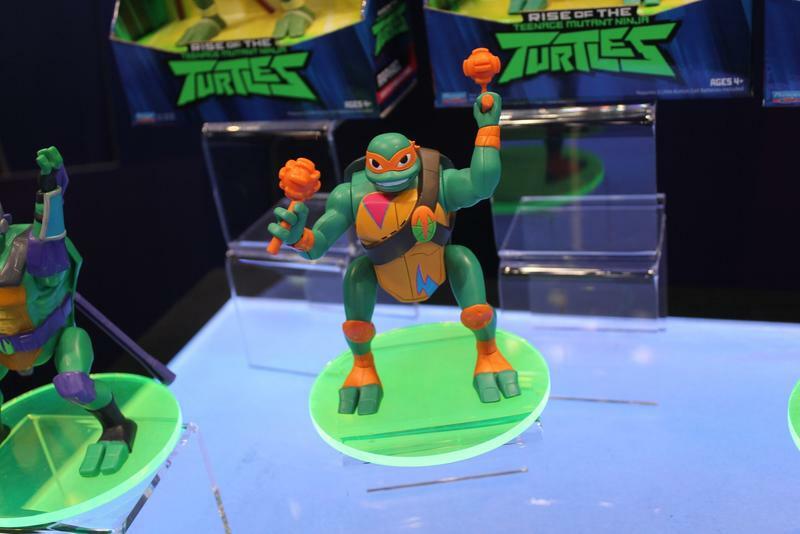 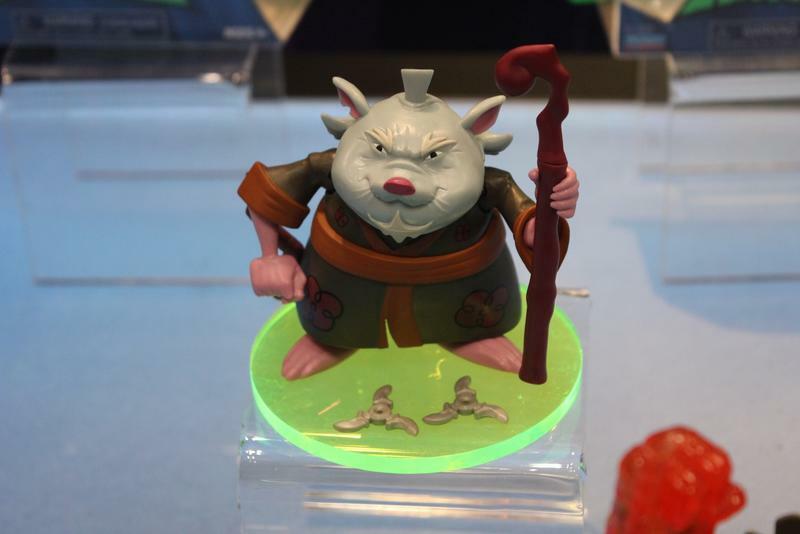 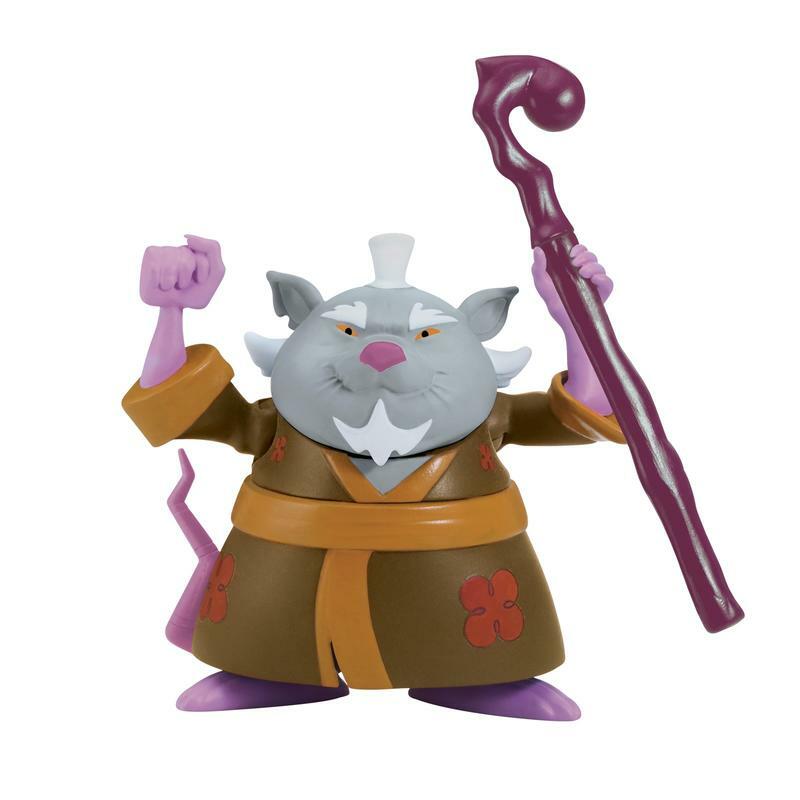 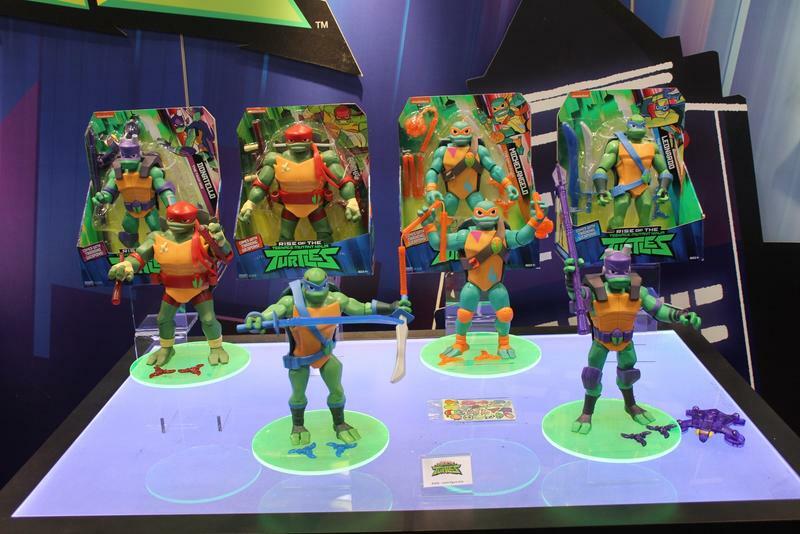 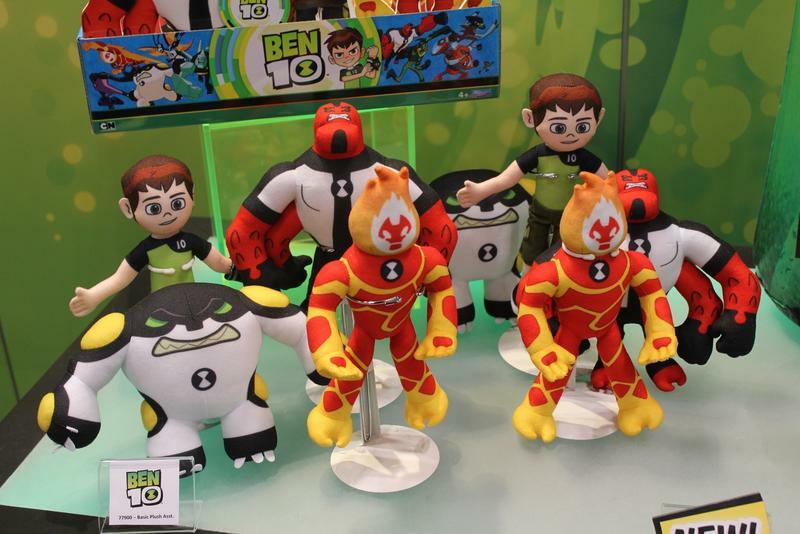 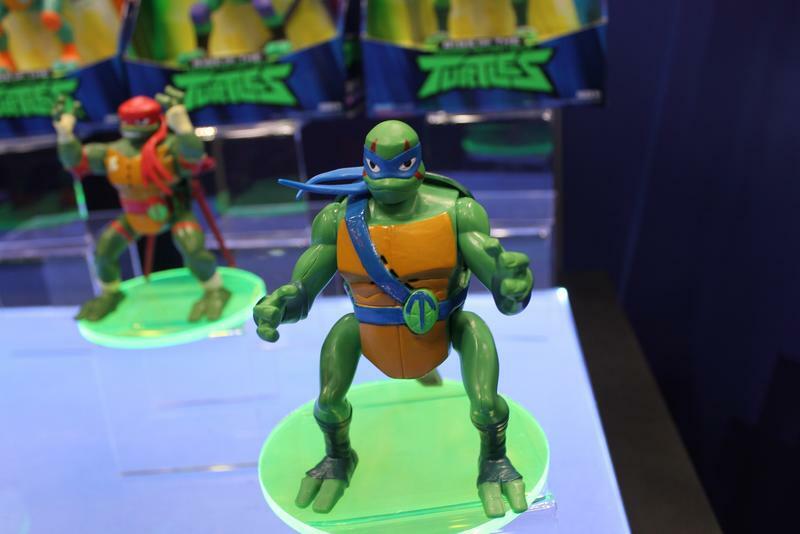 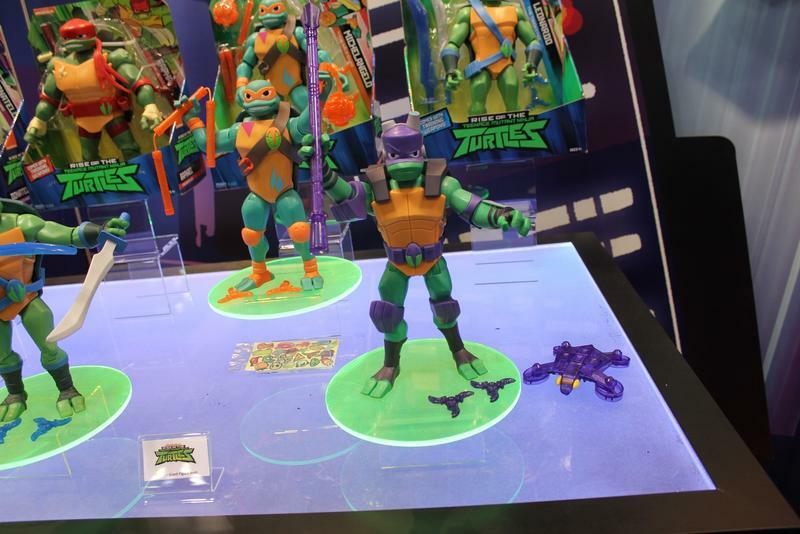 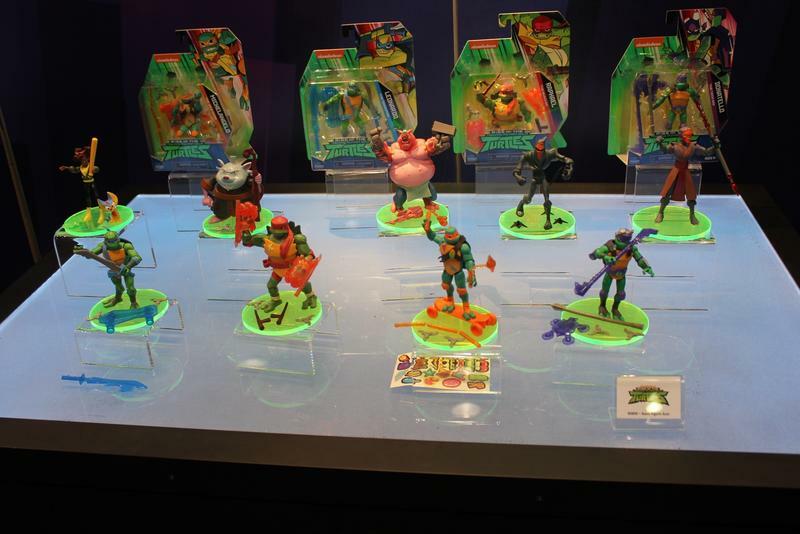 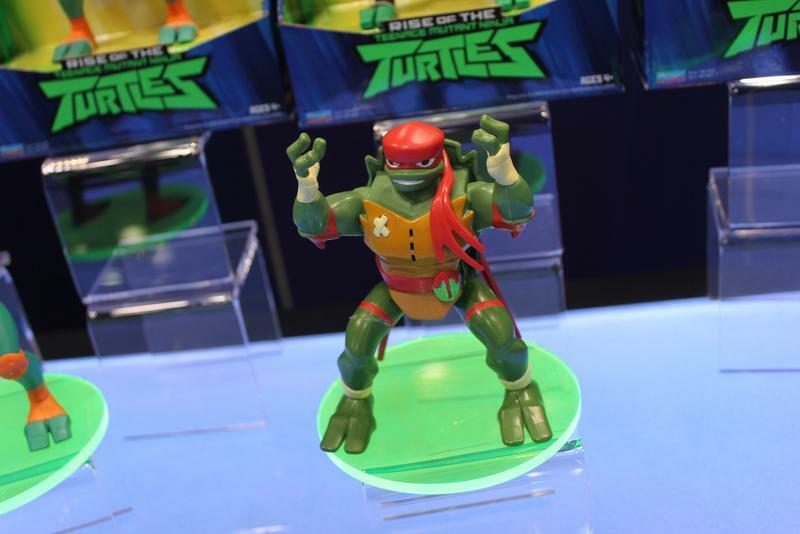 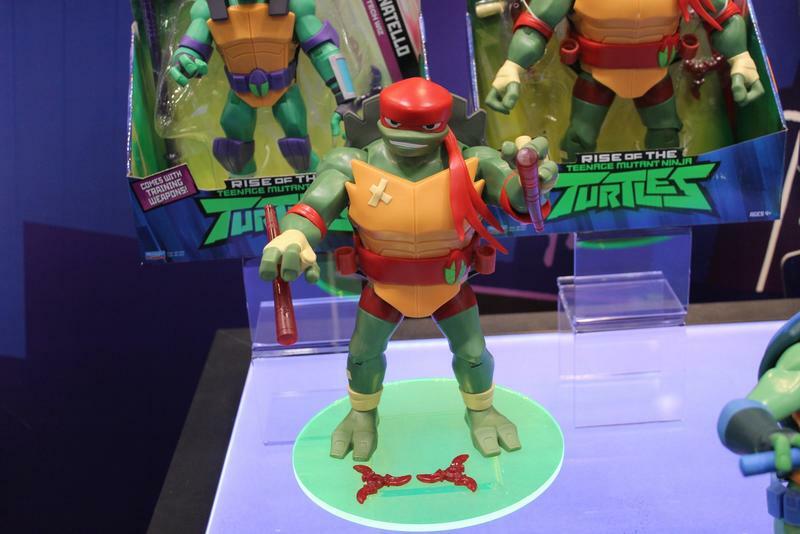 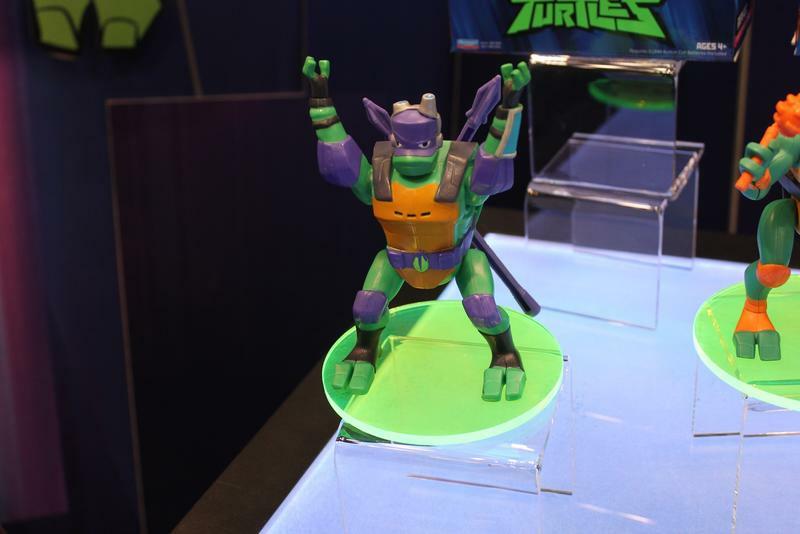 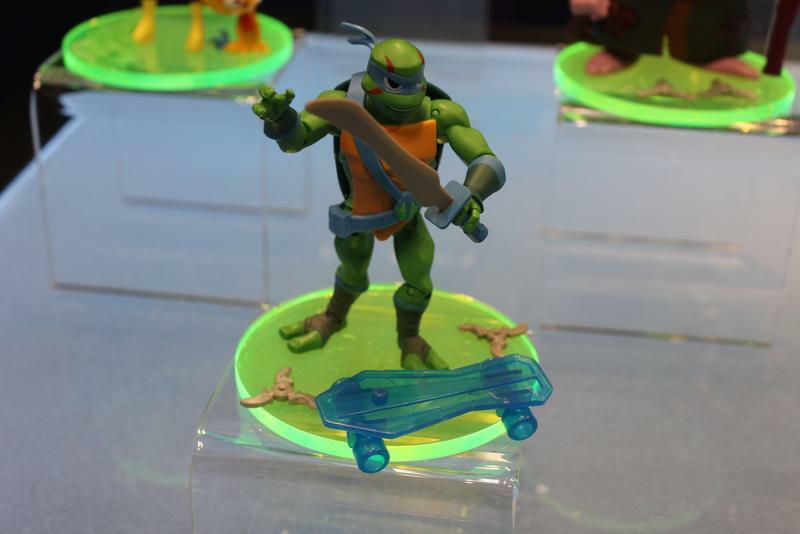 The 7-inch figure line will see the addition of some new characters. 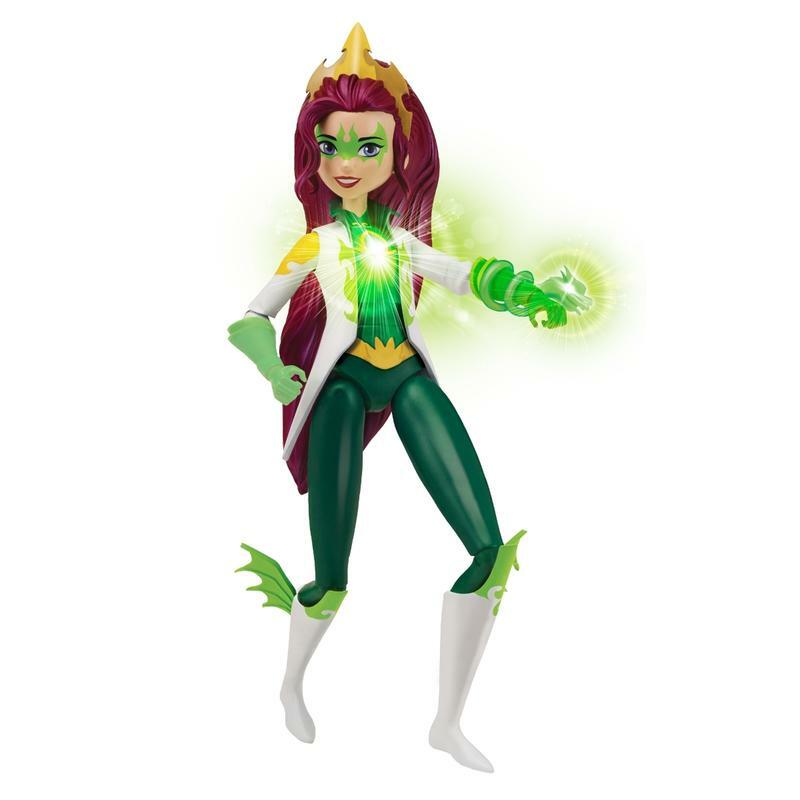 There will also be the launch of a 10-inch Deluxe Lights & Sound dolls with various features. 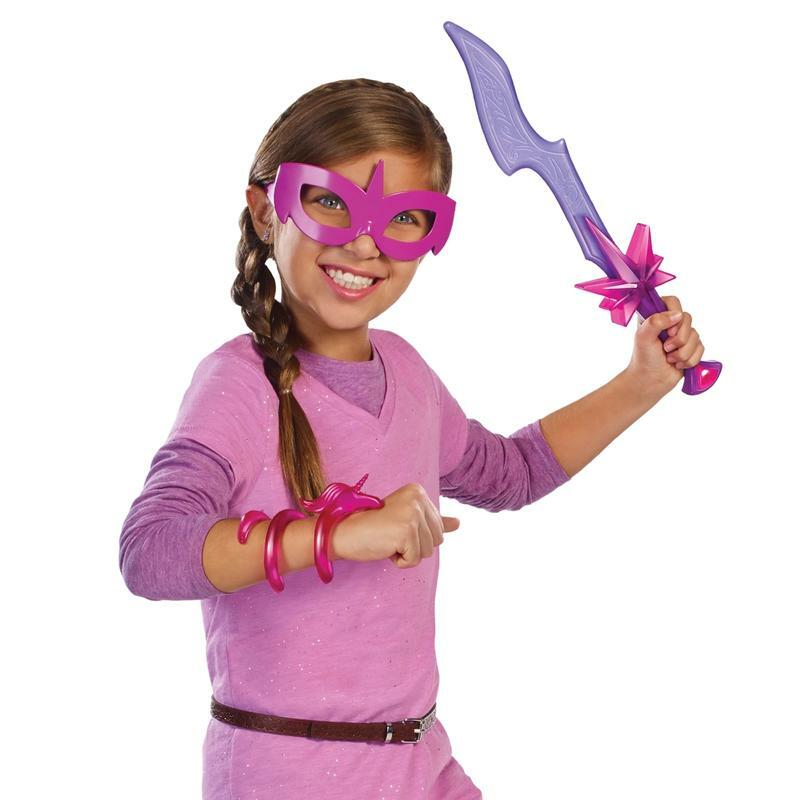 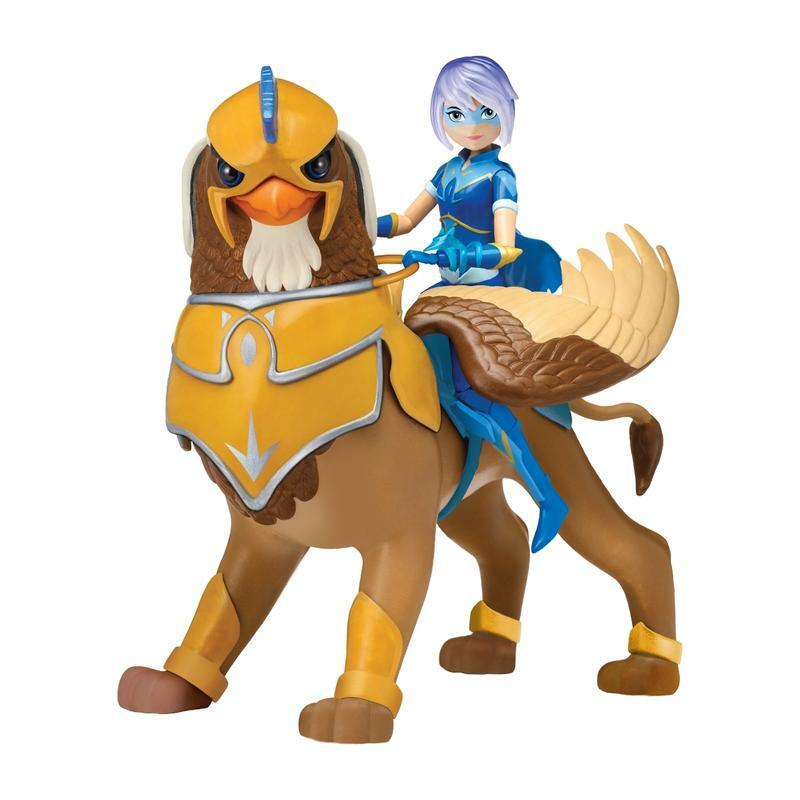 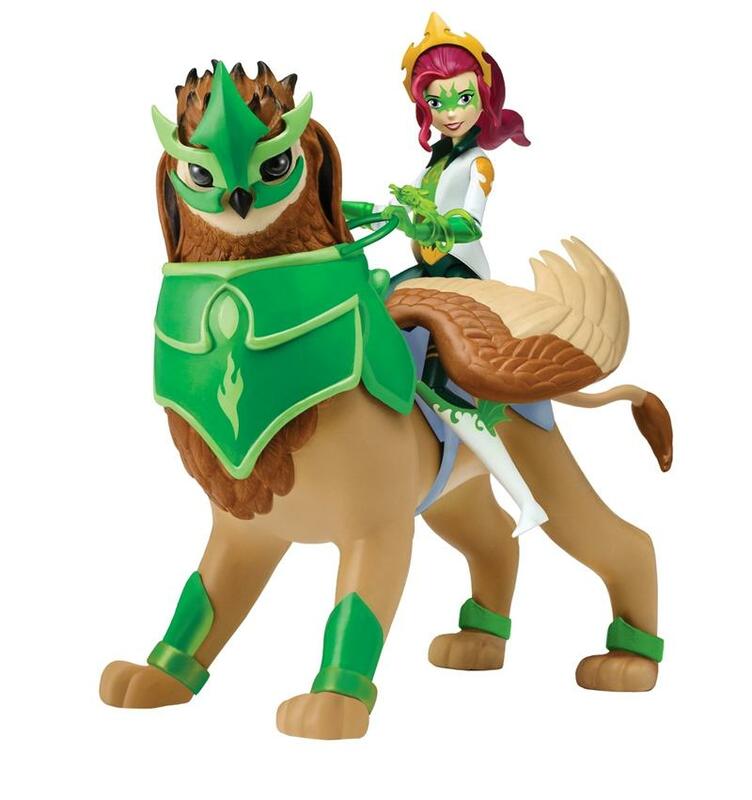 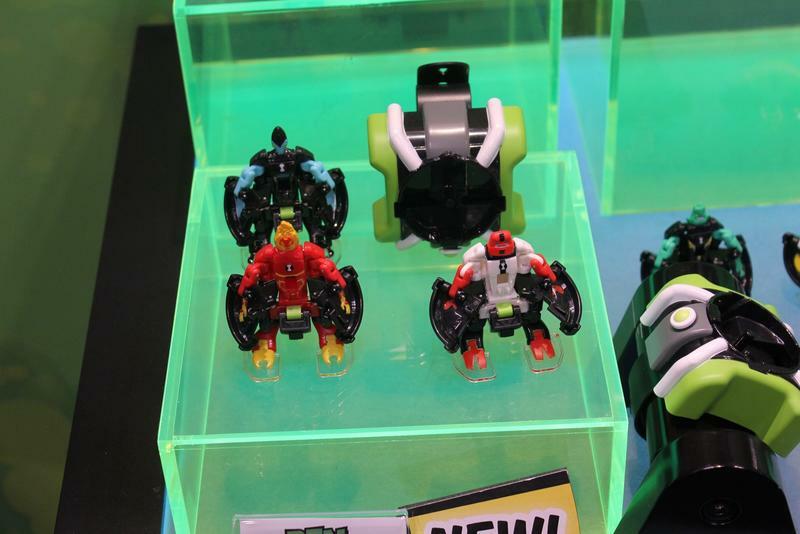 The stand out for us was the Griffin and Figure assortment which will see the main Mysticons come with their color-coordinated Griffin steeds.